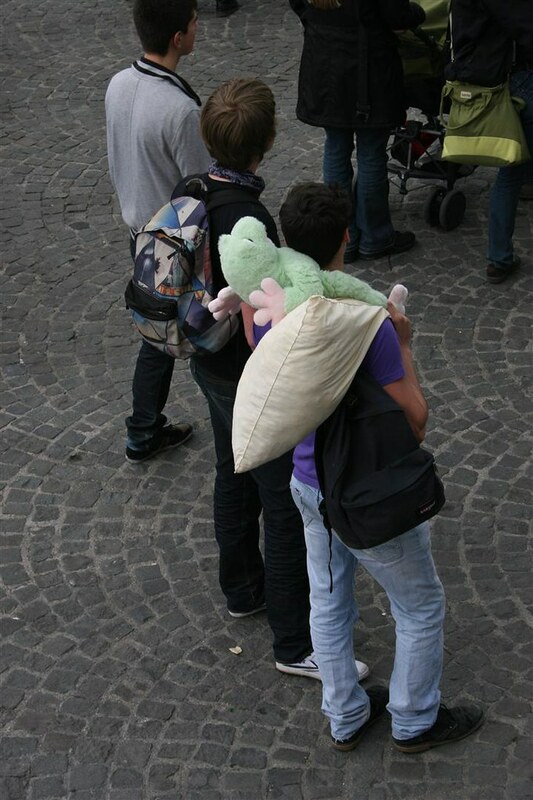 Our plans to visit the Water Gardens were thwarted by a horrible case of Sleeping In. 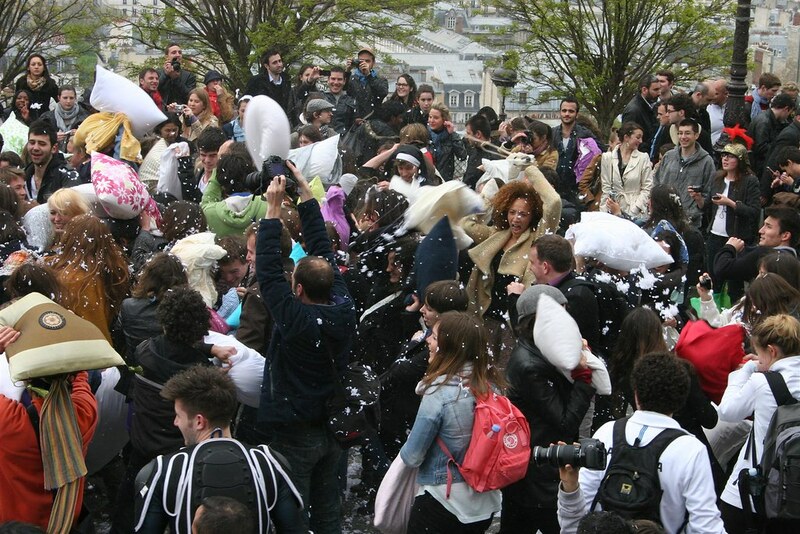 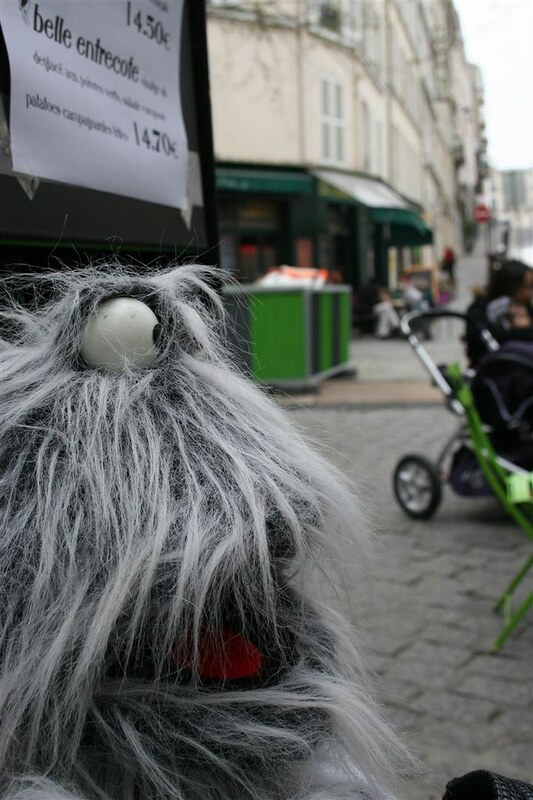 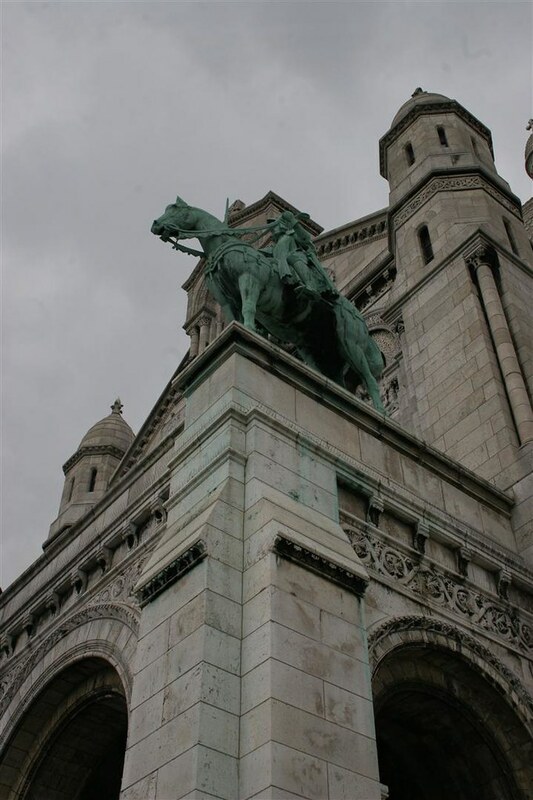 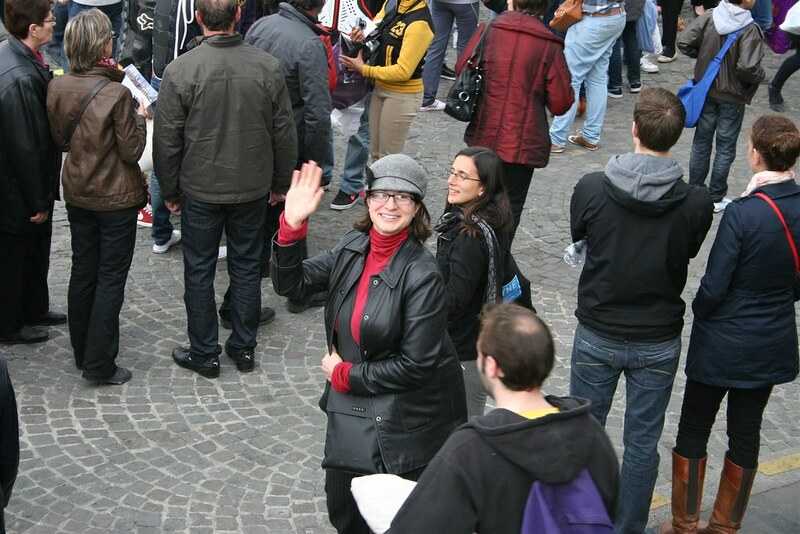 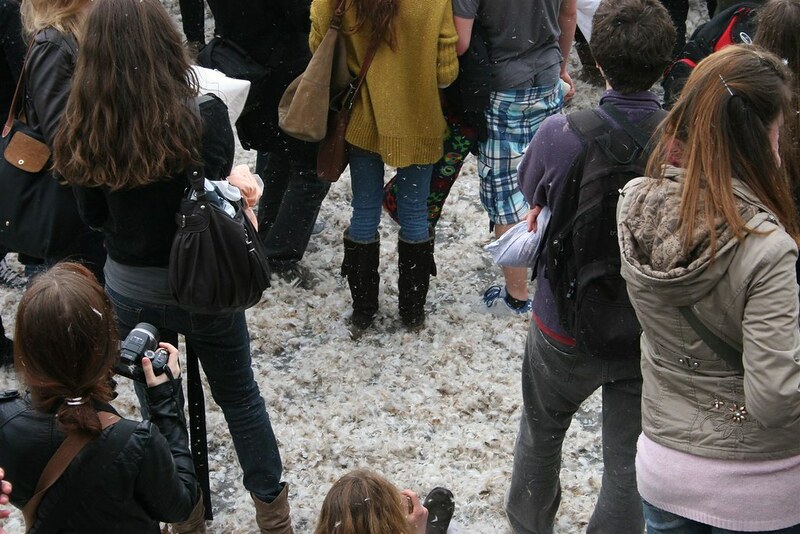 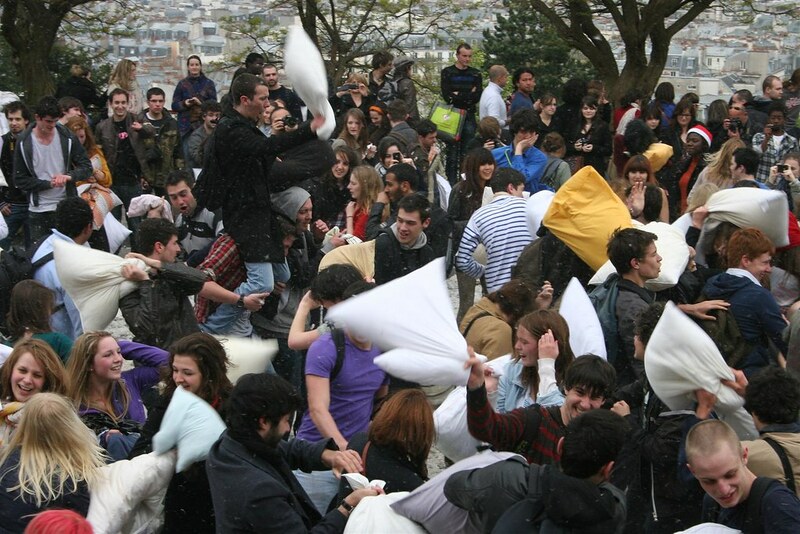 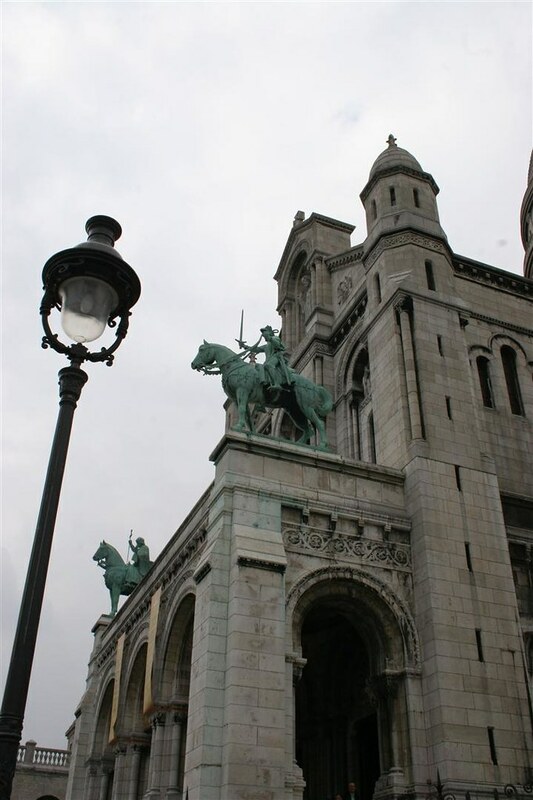 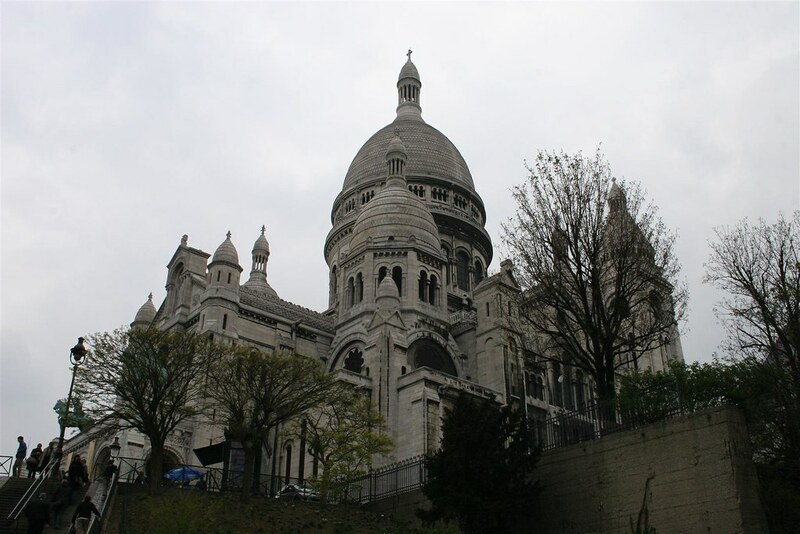 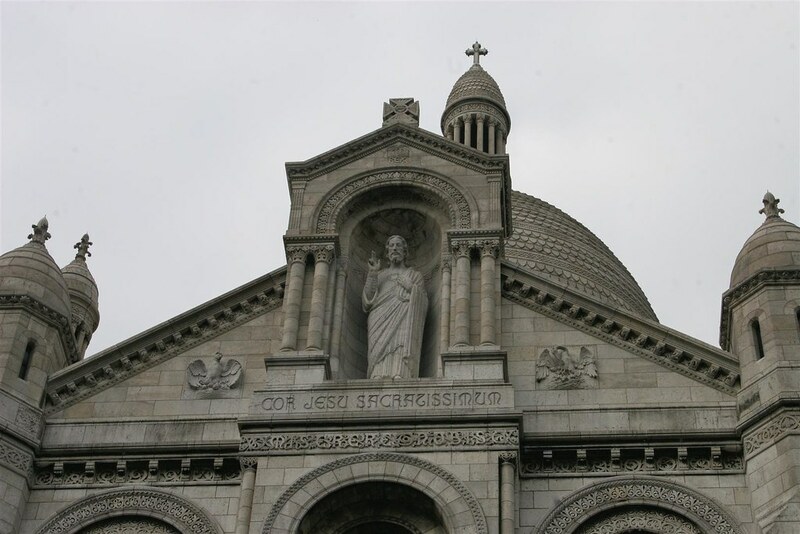 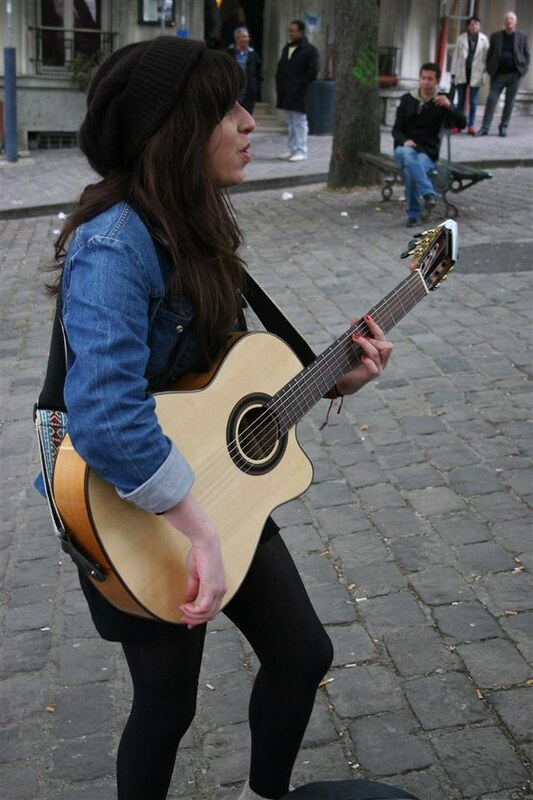 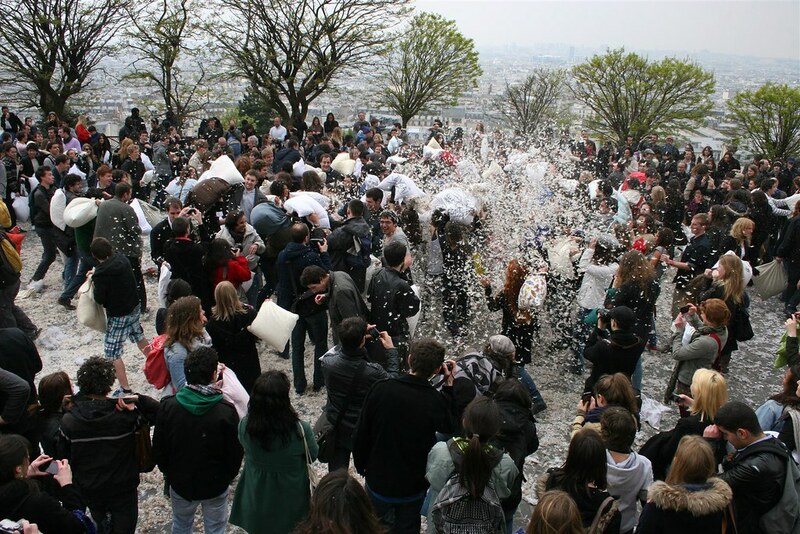 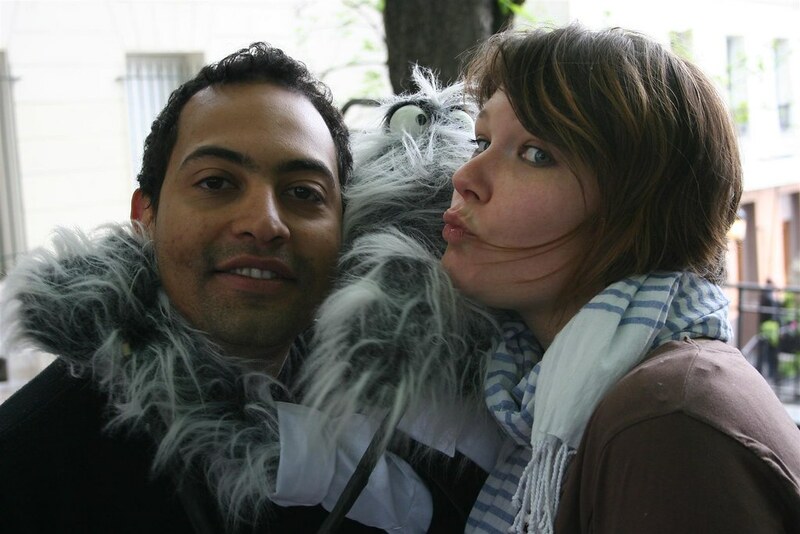 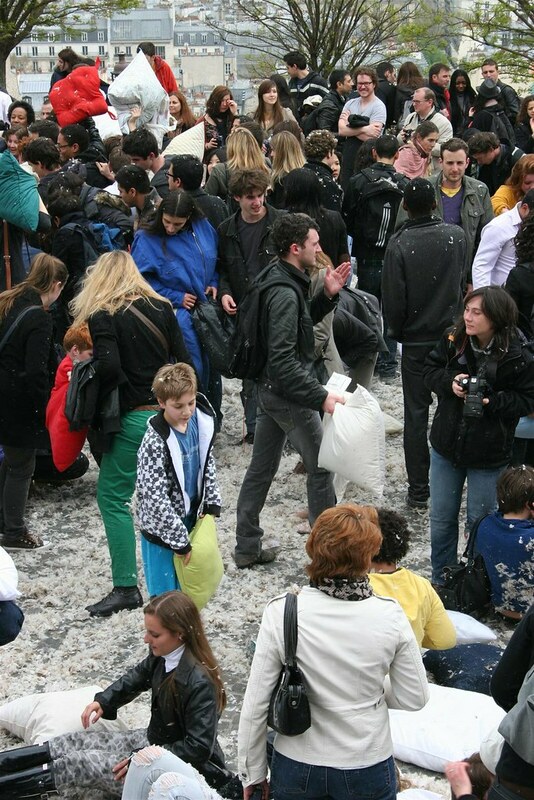 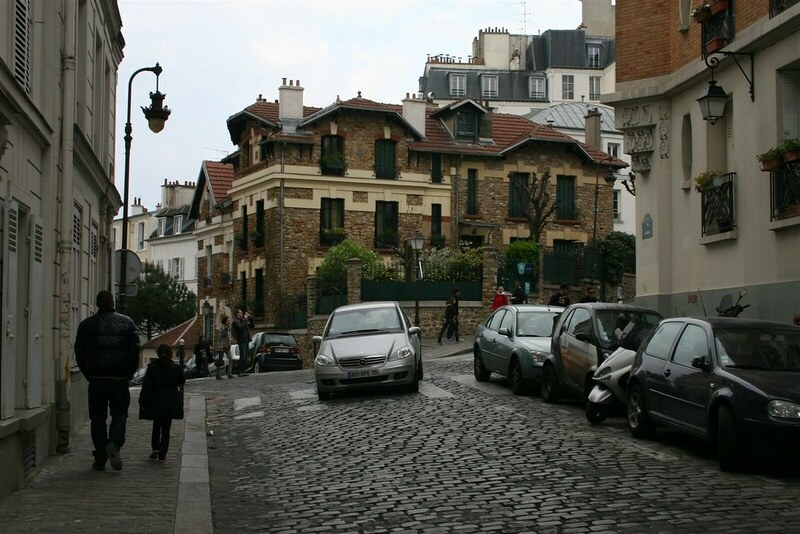 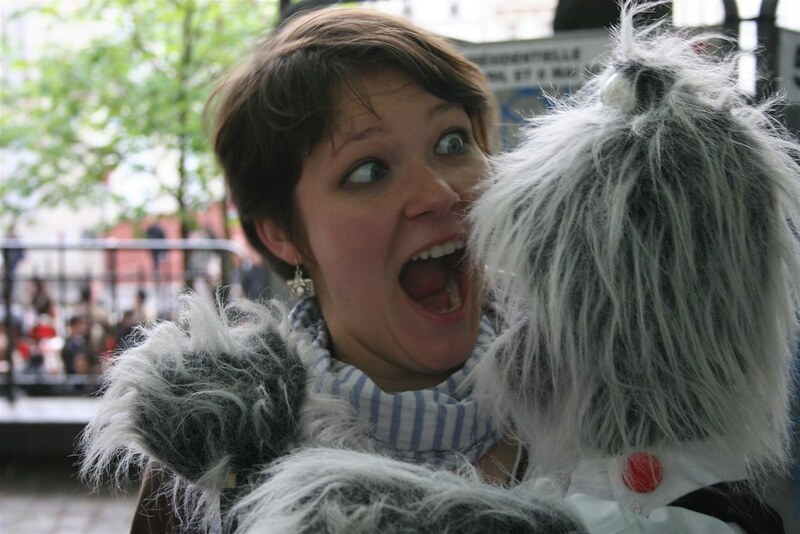 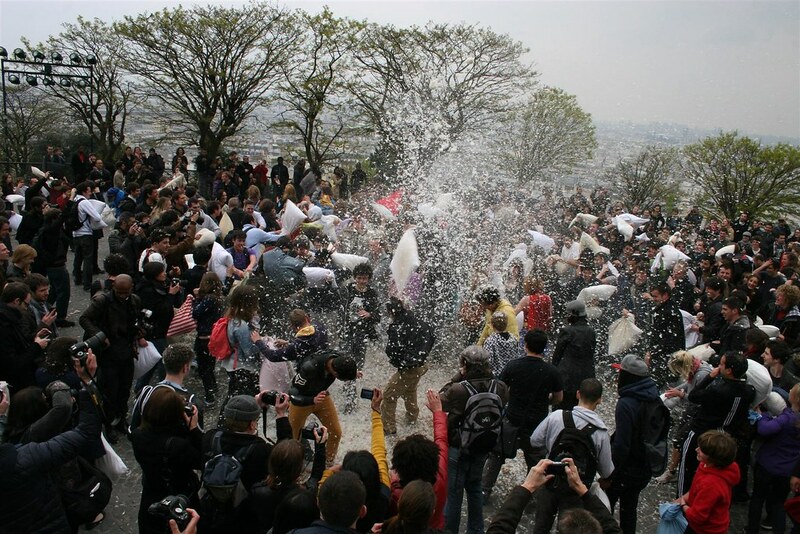 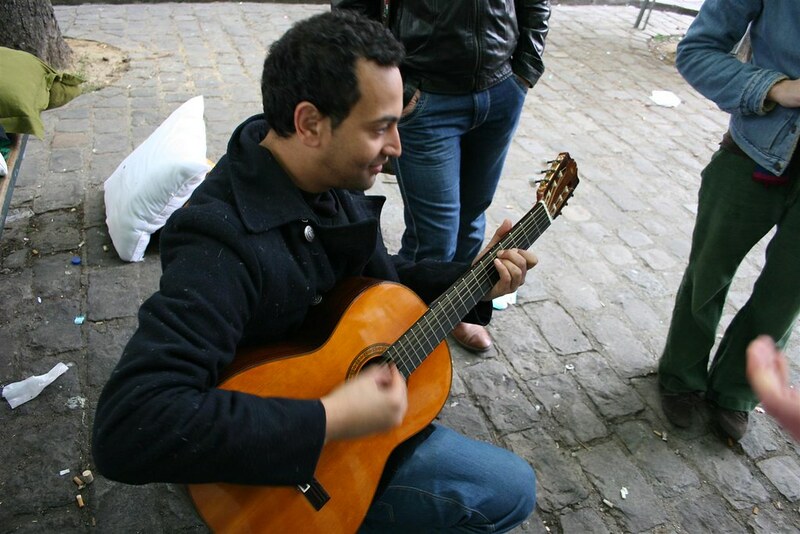 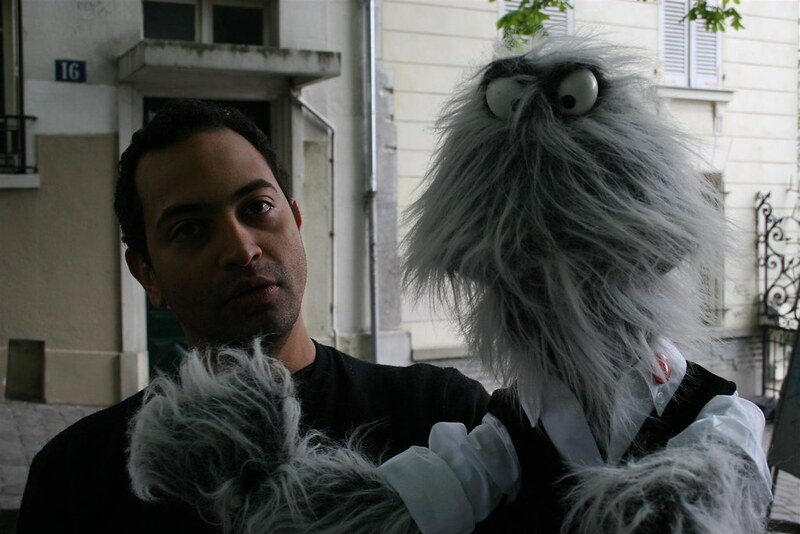 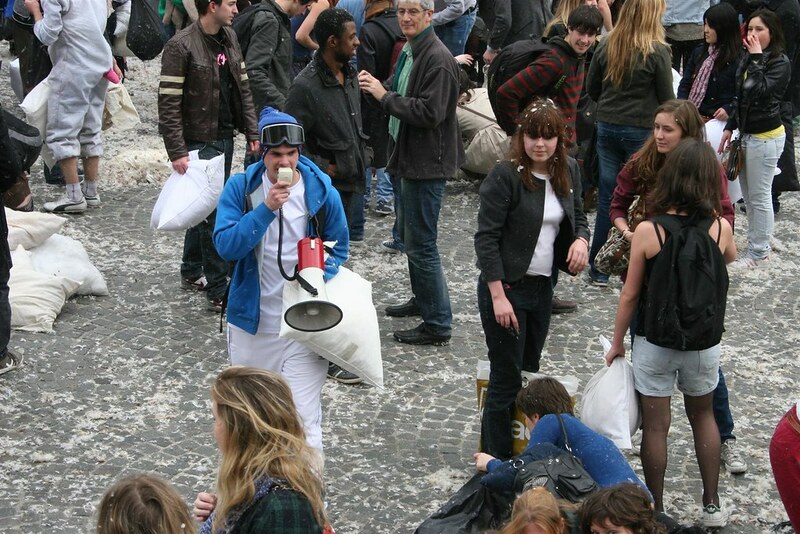 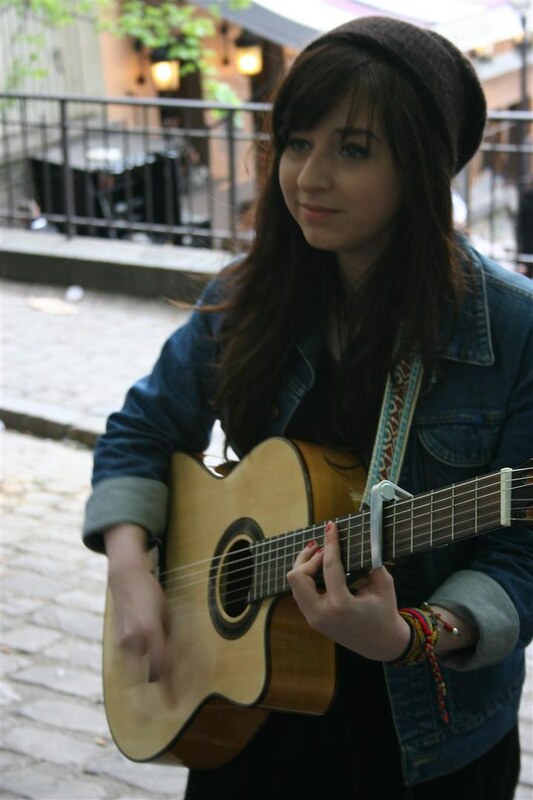 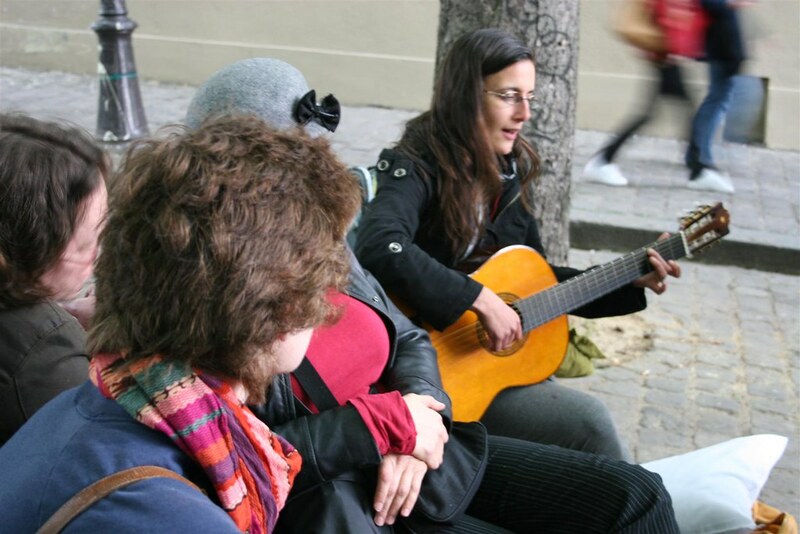 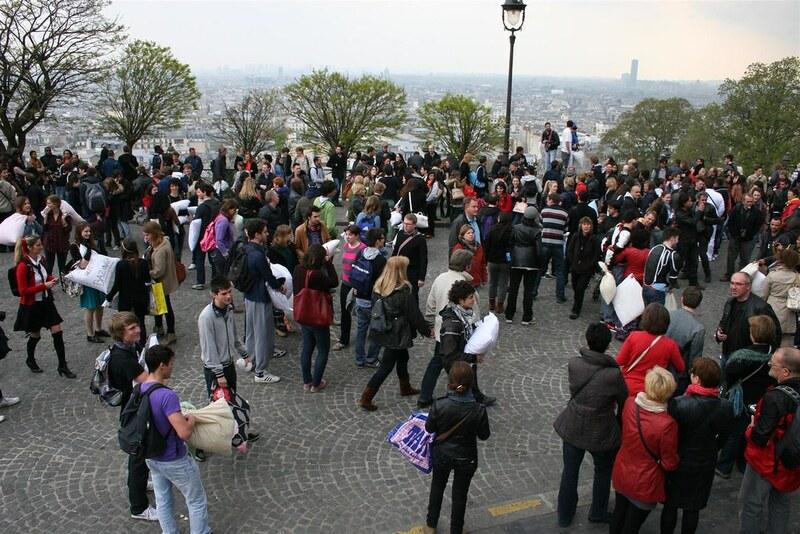 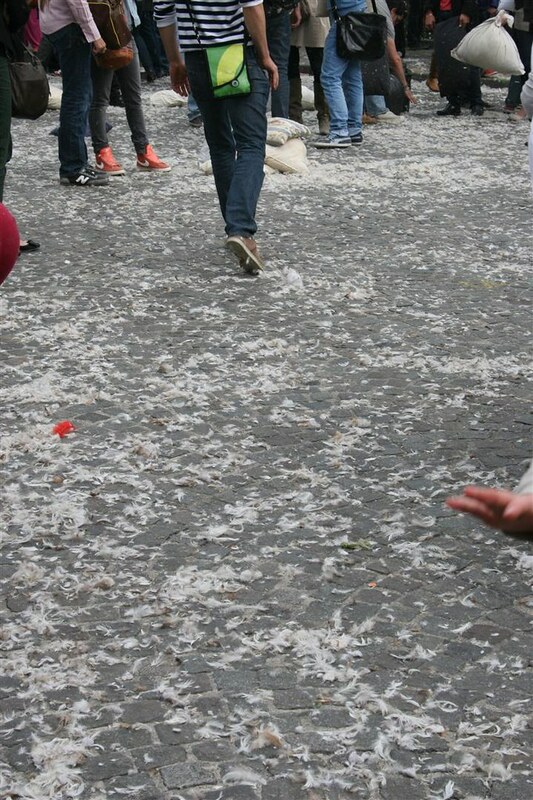 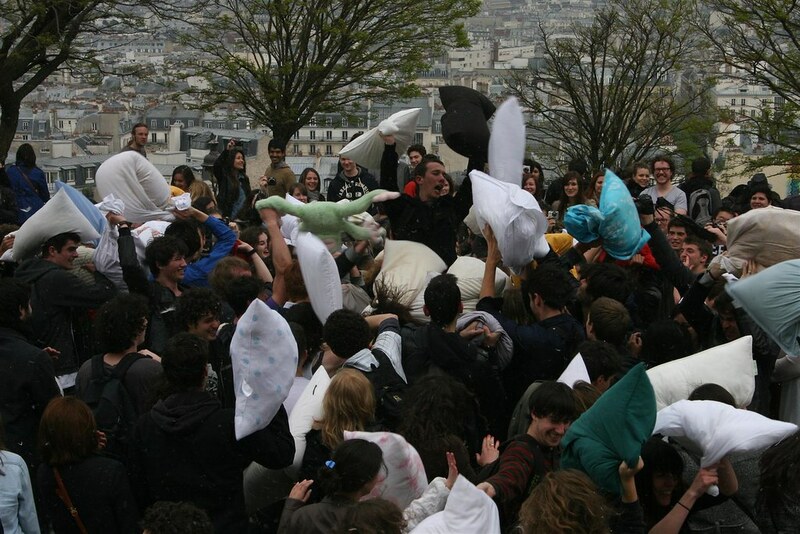 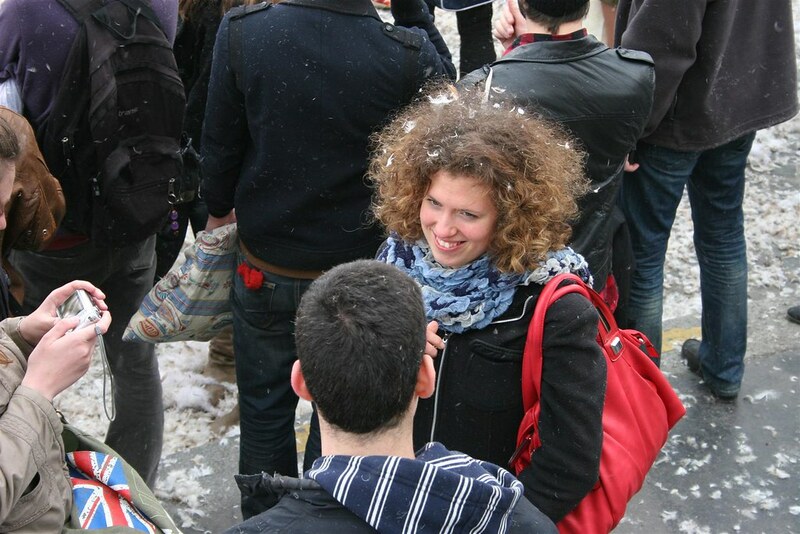 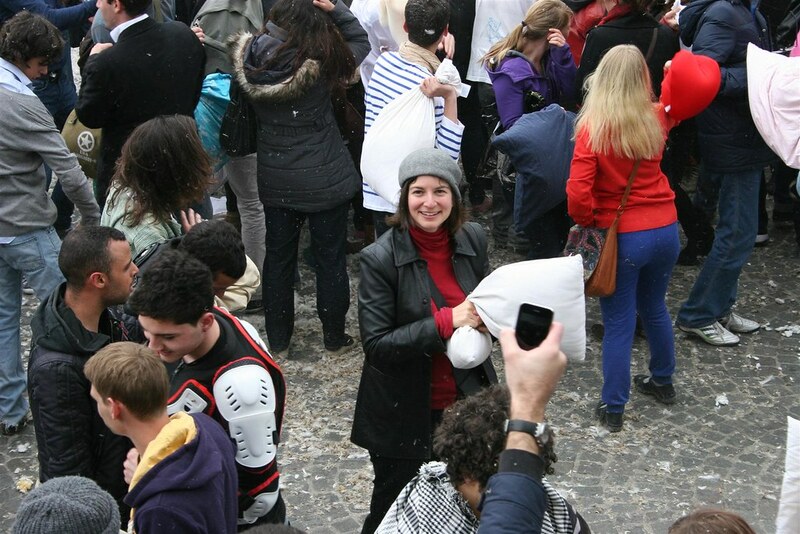 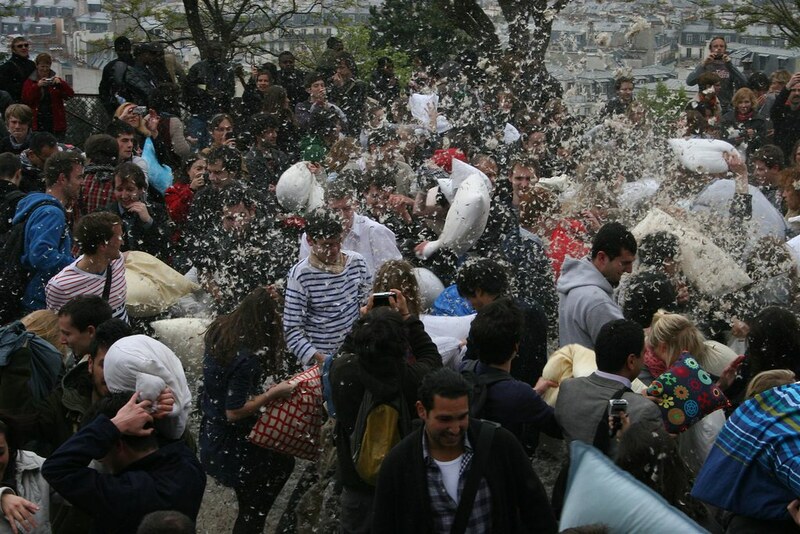 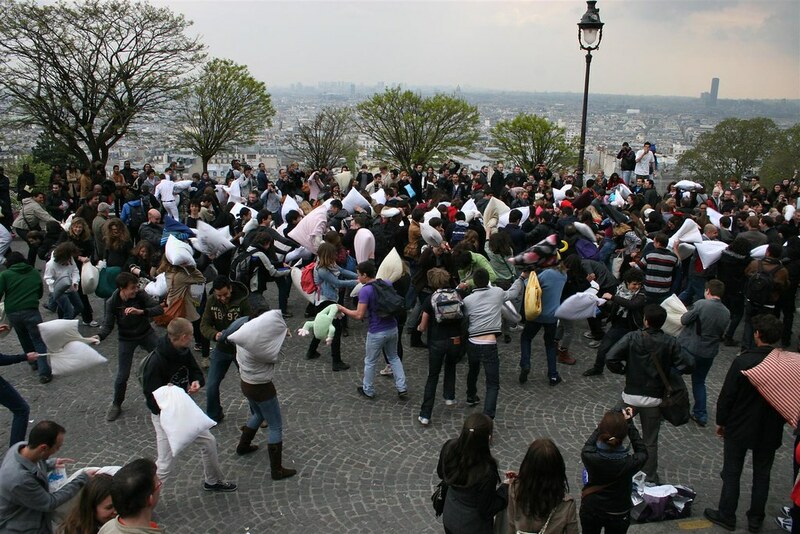 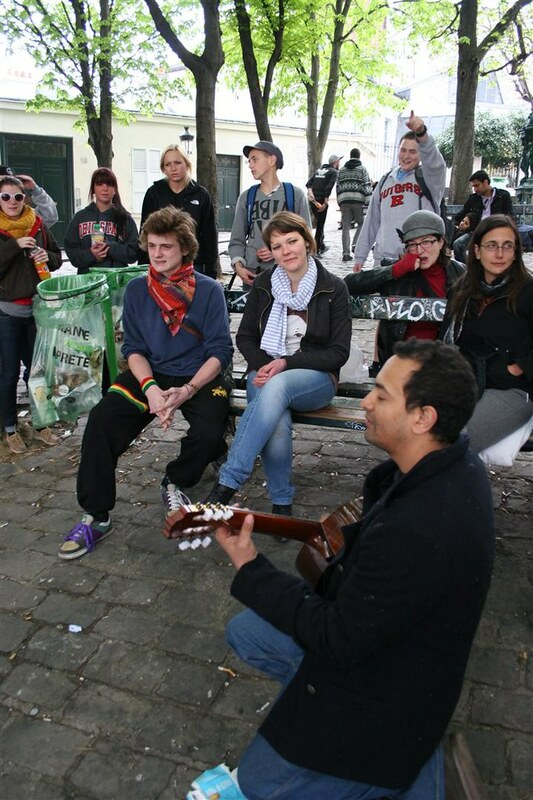 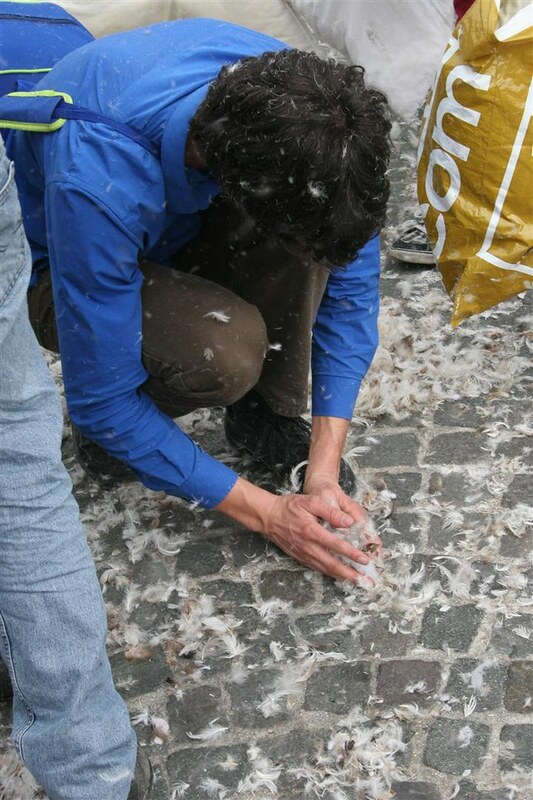 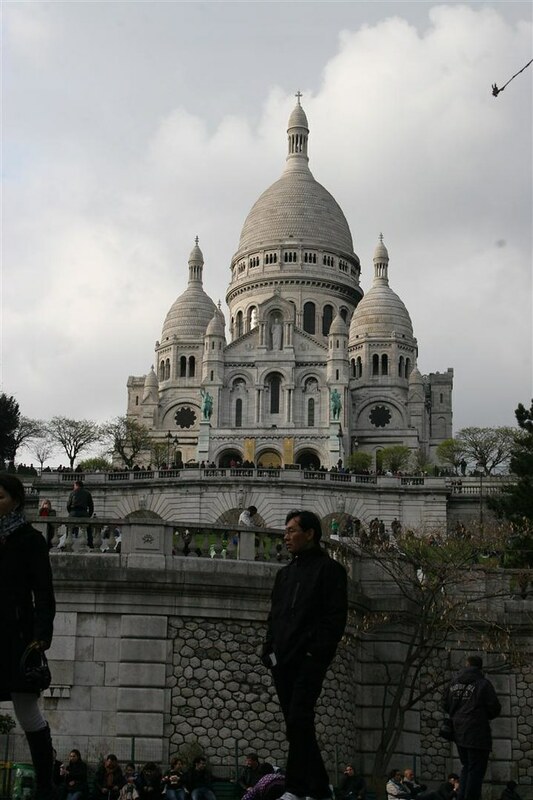 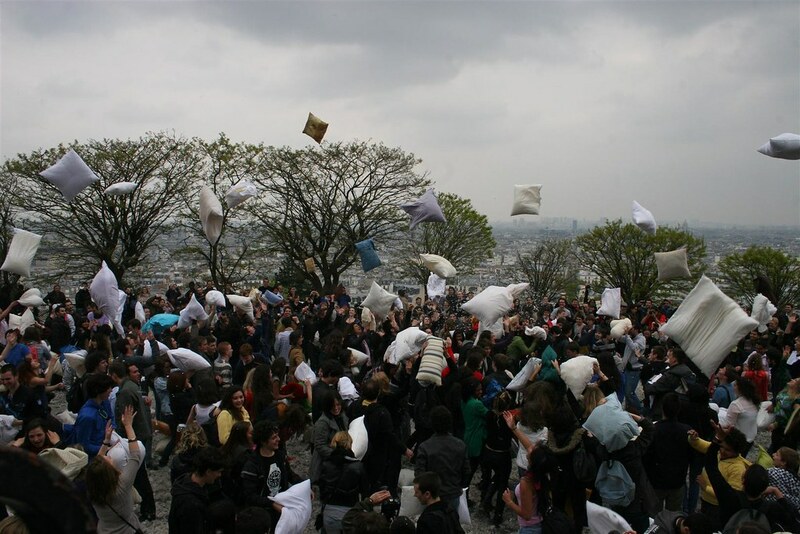 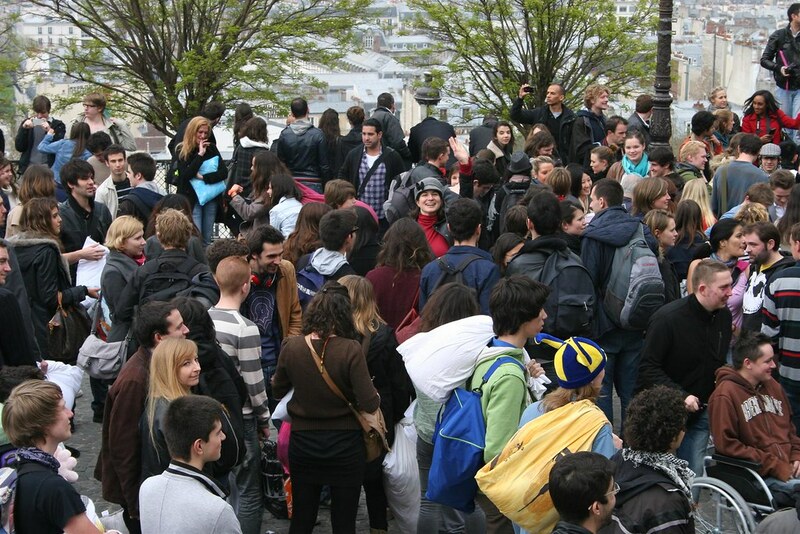 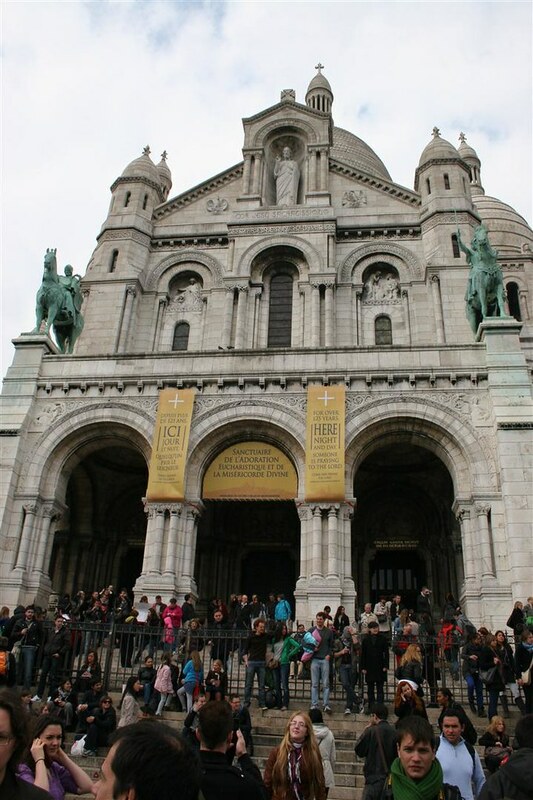 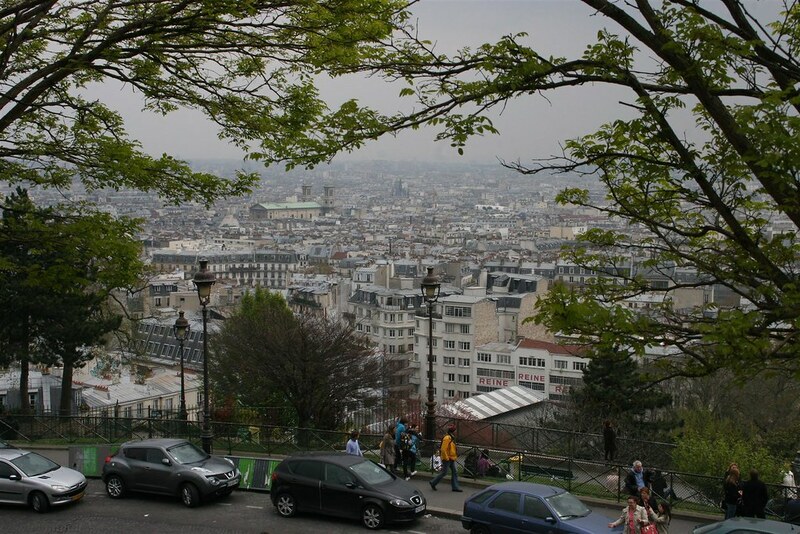 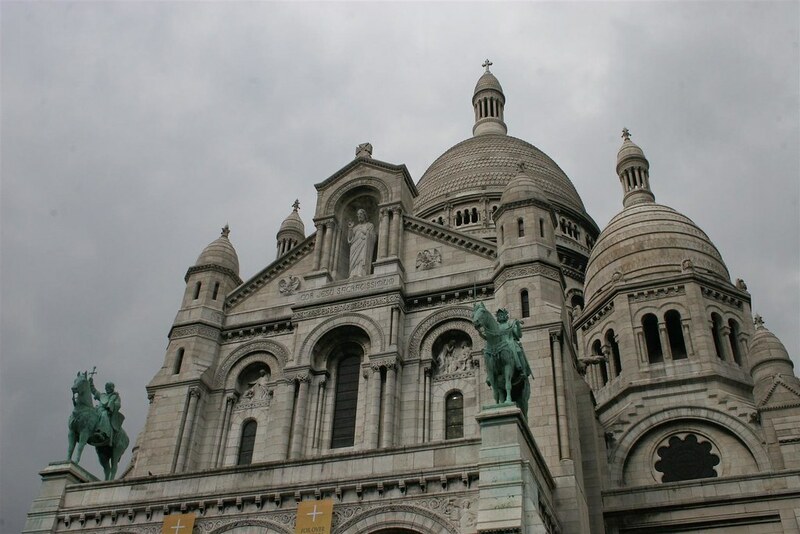 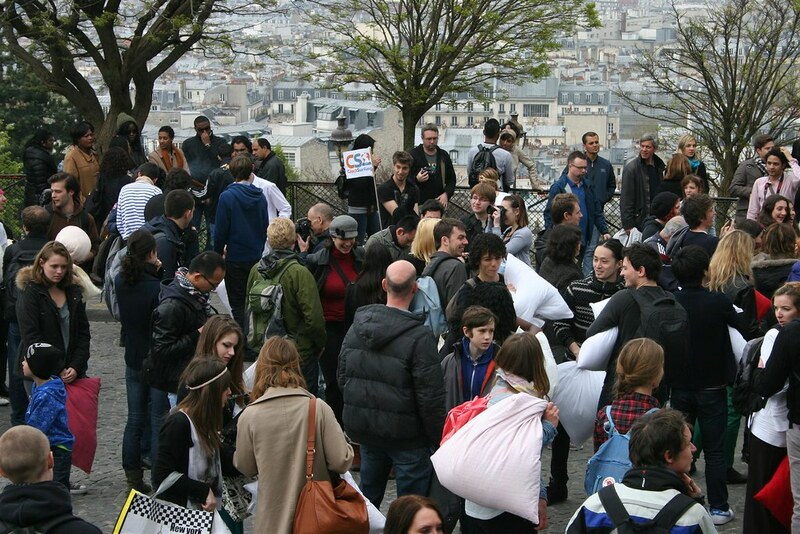 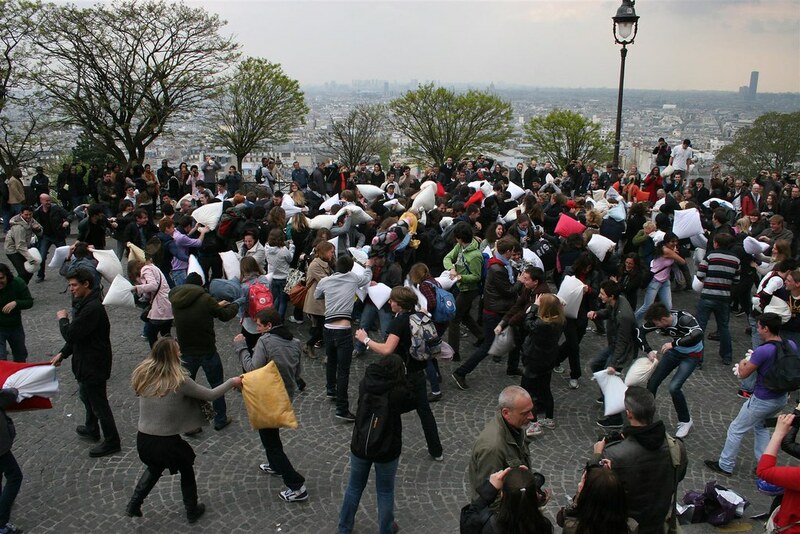 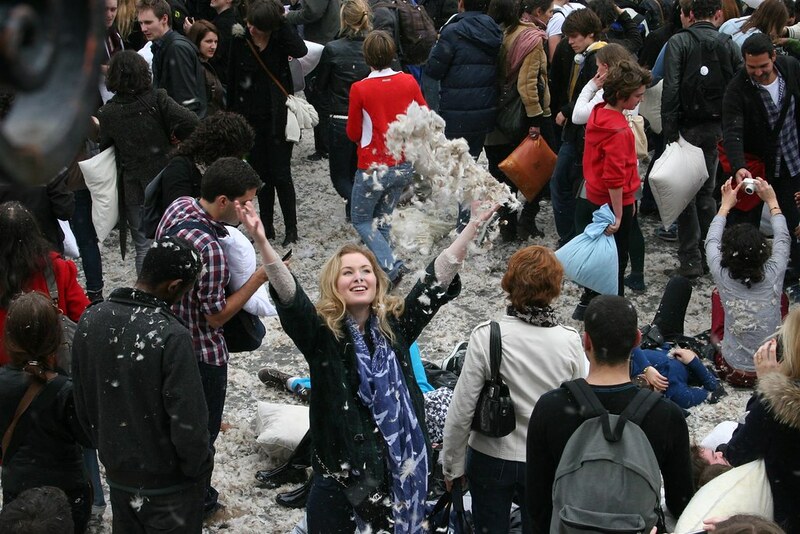 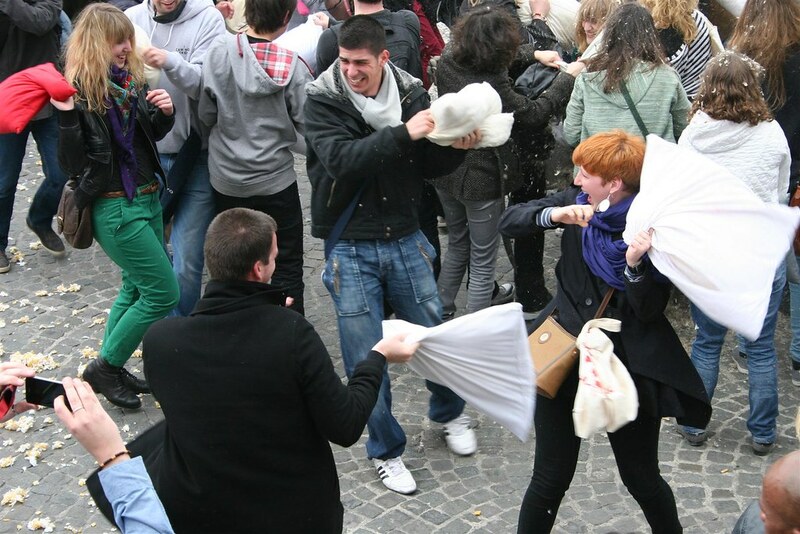 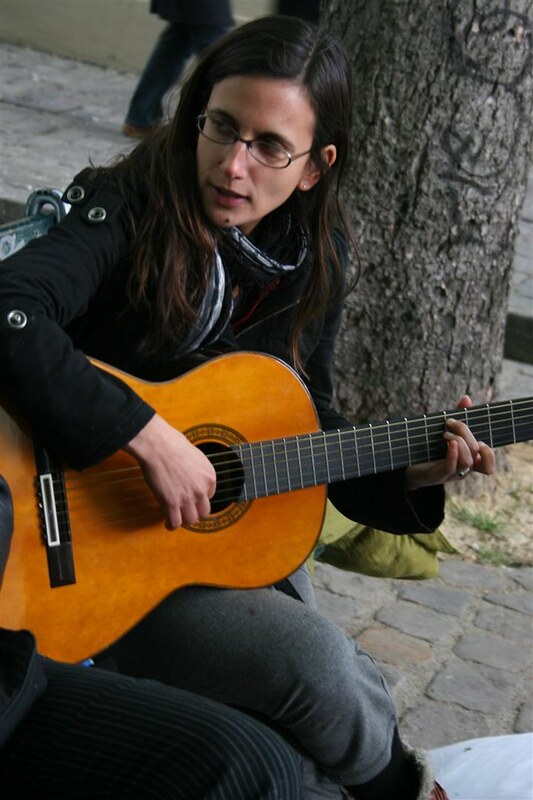 As such, we decided to just wander for the day, and when Michi checked the internetz, she discovered that there would be a flashmob pillow fight in the courtyard in front of Sacré-Cœur in Monmartre. 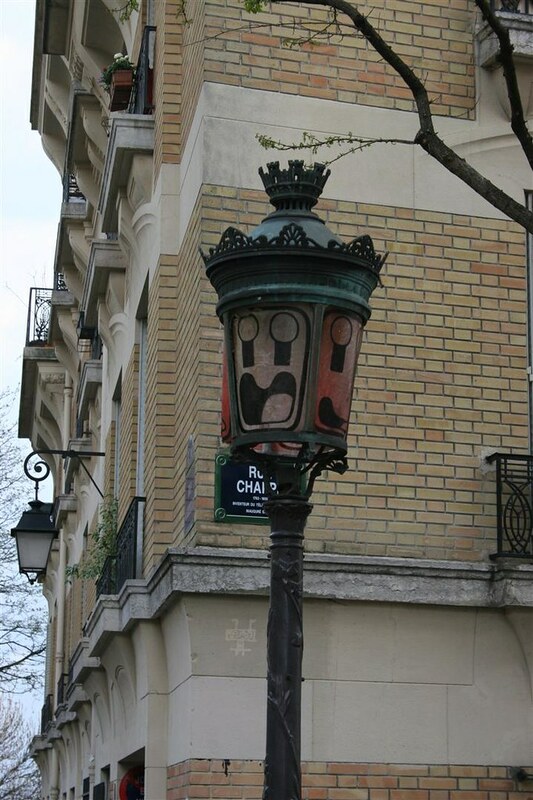 We totally couldn’t pass THAT up. 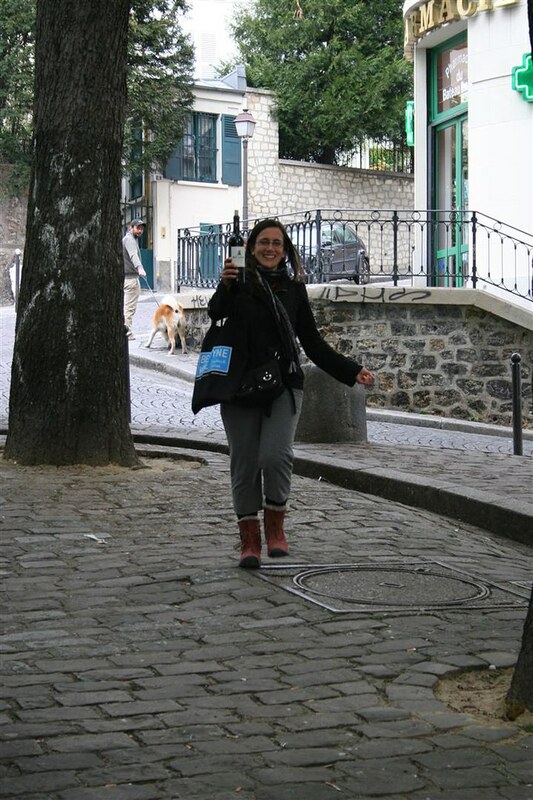 So, a hop on the Metro (got me a monthly pass), and we were in the 18th District. 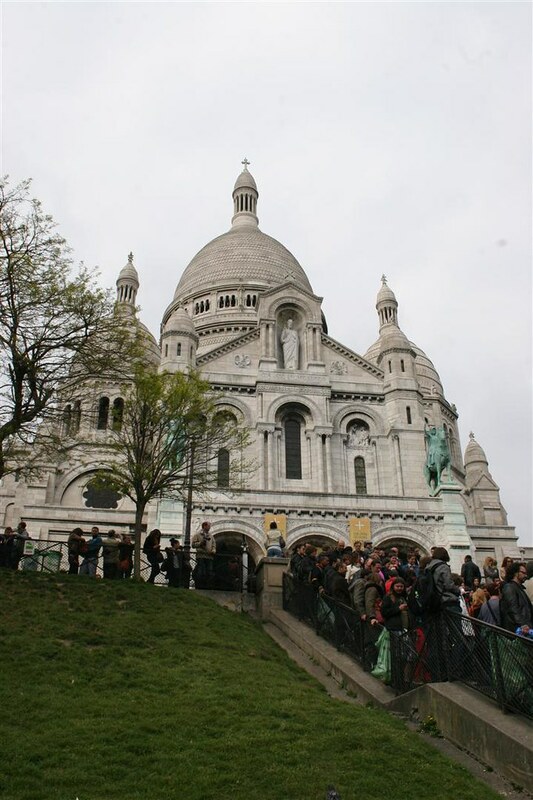 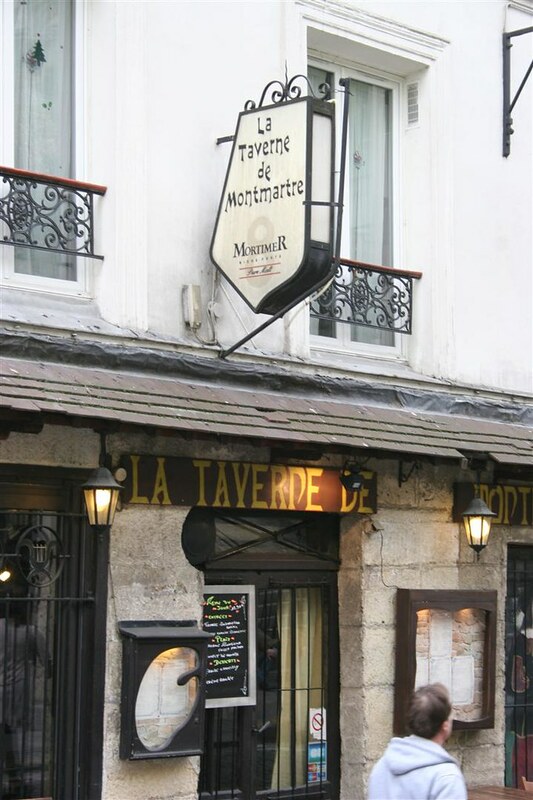 We found this café about 1/3 of the way up the hill to Sacré-Cœur. 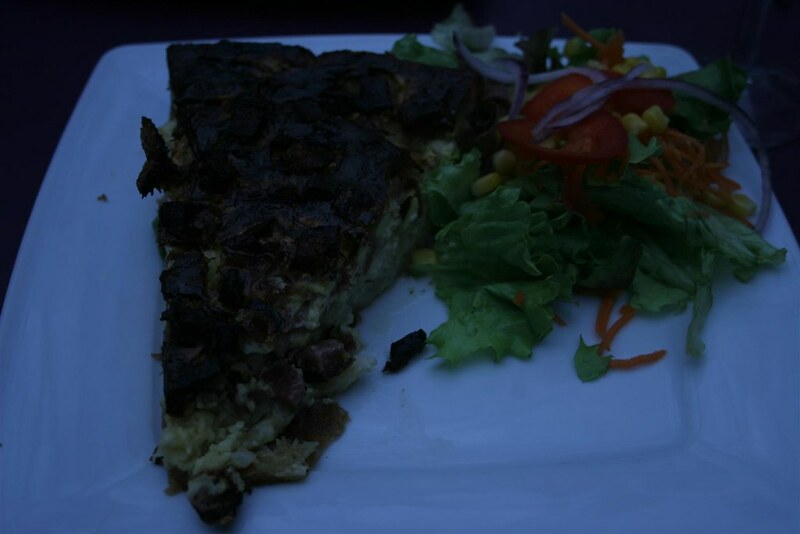 Probably the best quiche I’ve every had, and by far the best espresso. 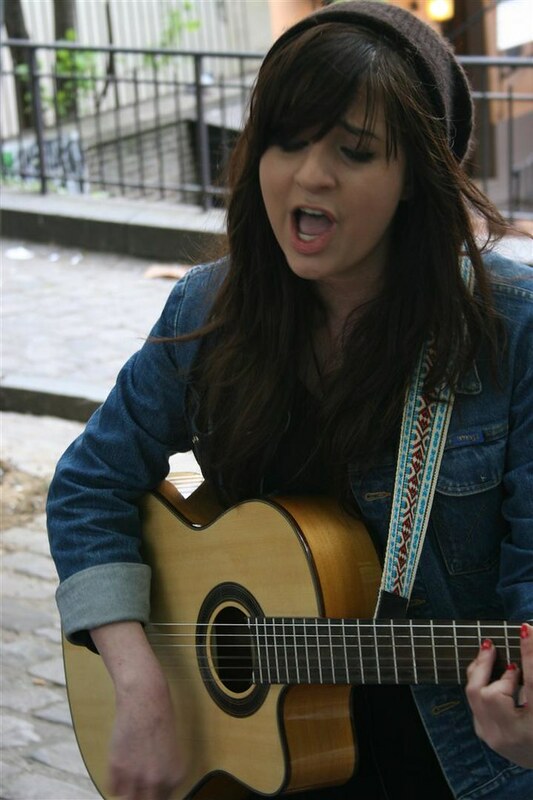 I could drink that espresso all freakin day. 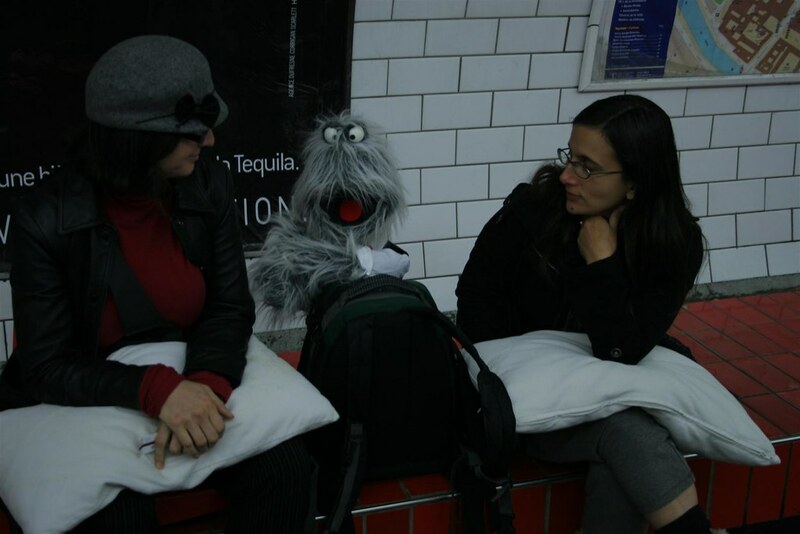 And we actually ended up going BACK after the day’s adventures to grab one more before we headed off to dinner. 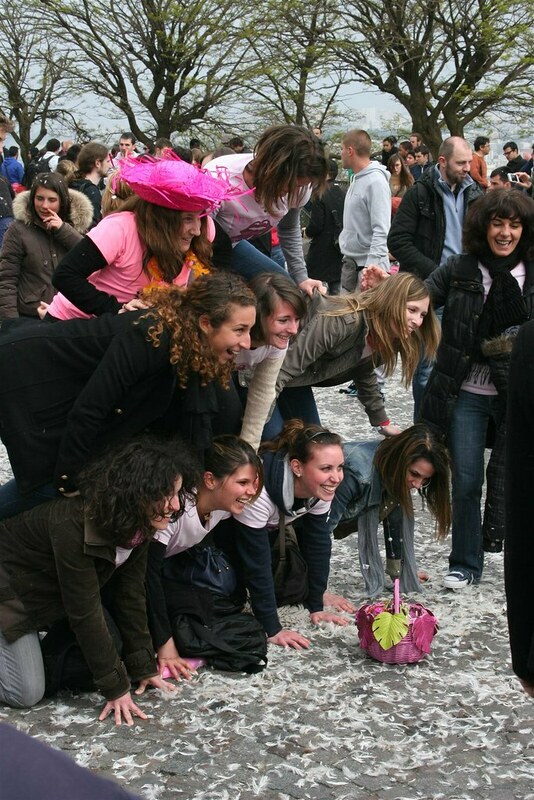 So once brunch was done, we started climbing the rest of the stairs. 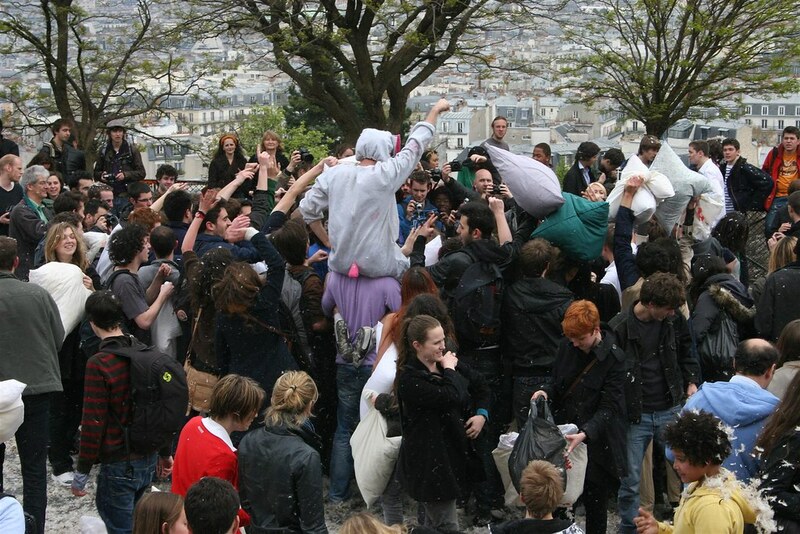 We climbed. 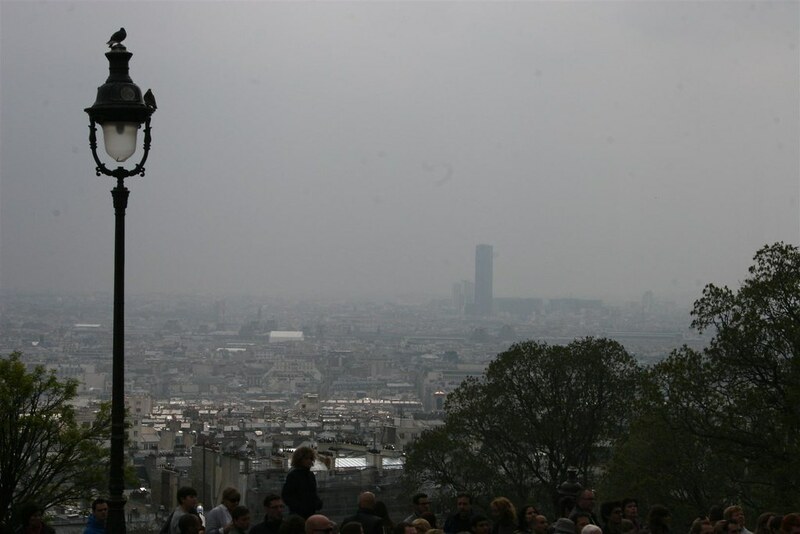 And climbed. 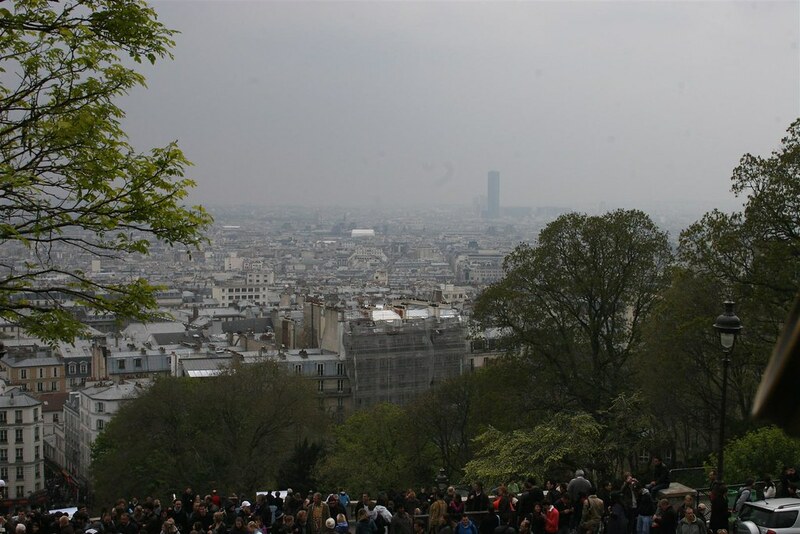 AND climbed. 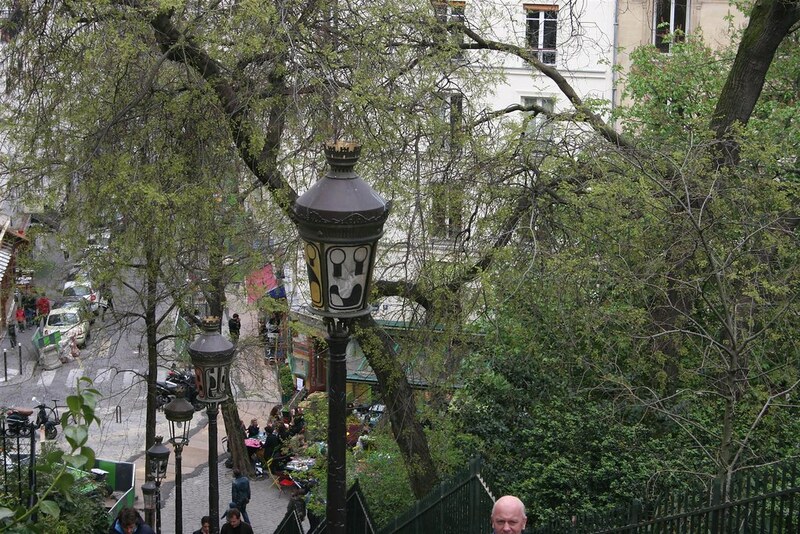 All said and done, this is my stair count from yesterday according to my magic electronic pedometer (thanks Bryce!!). 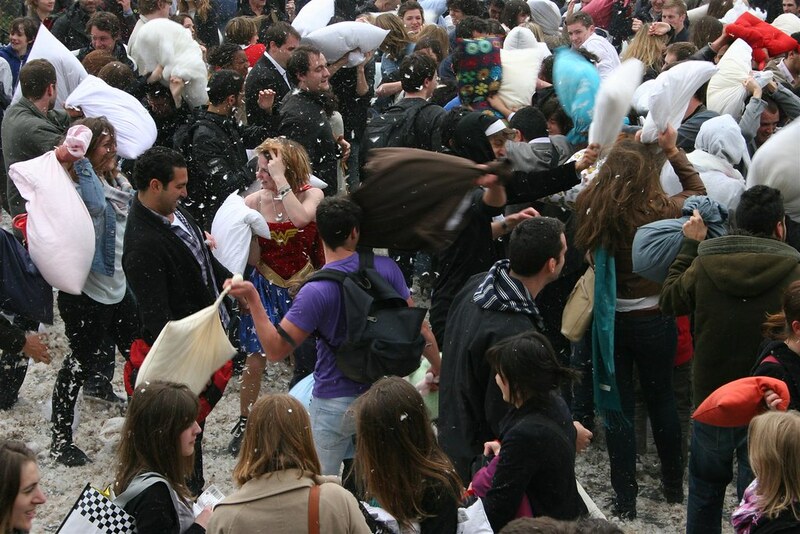 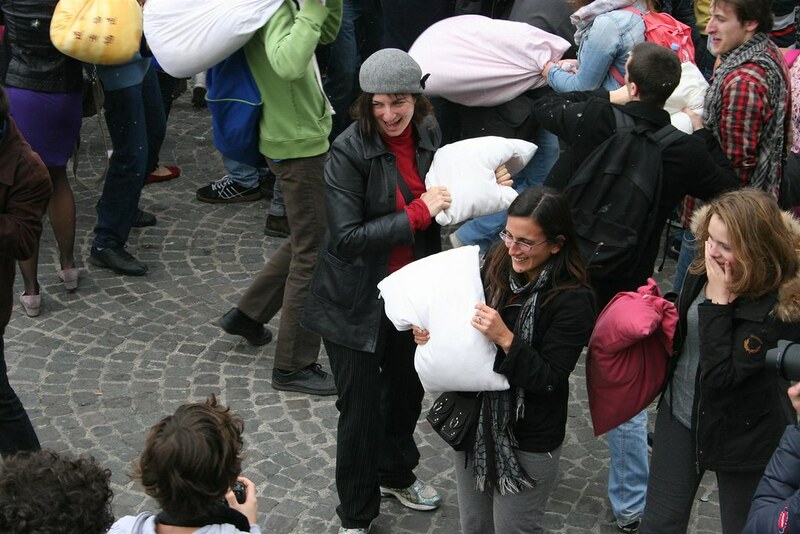 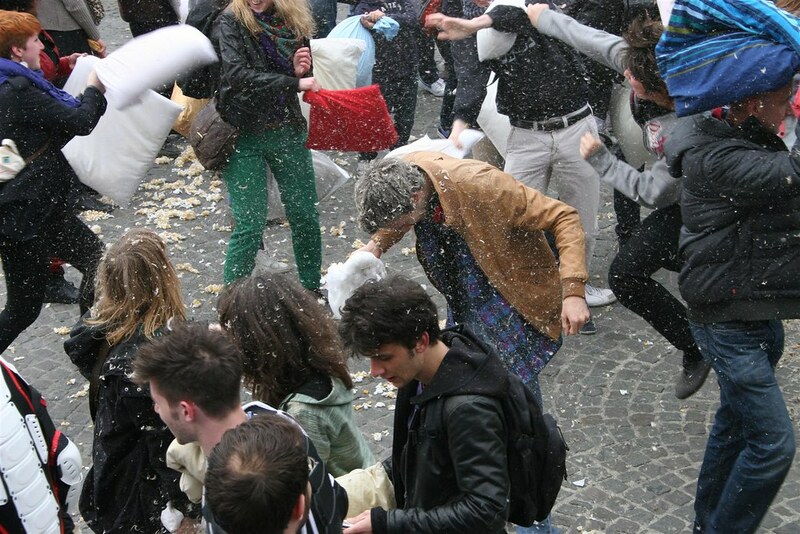 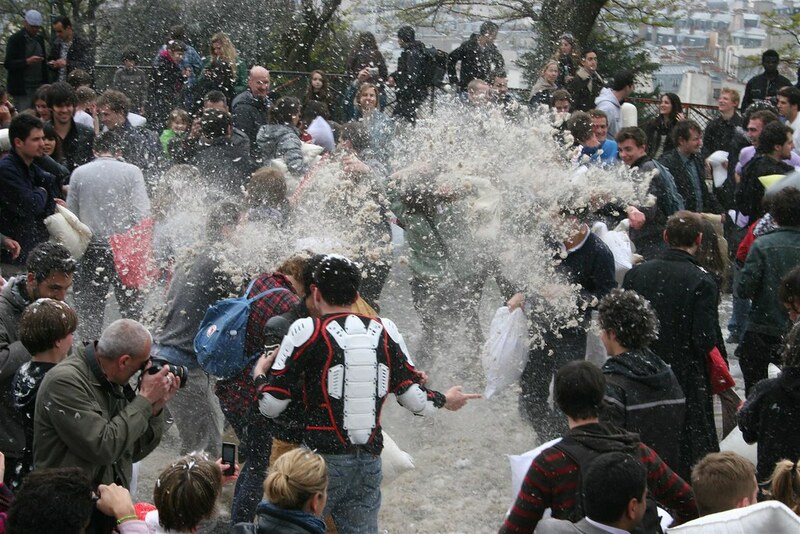 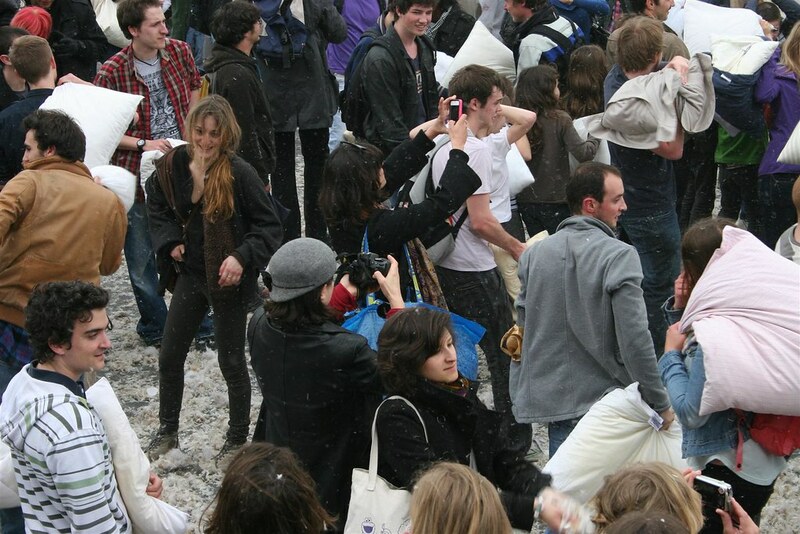 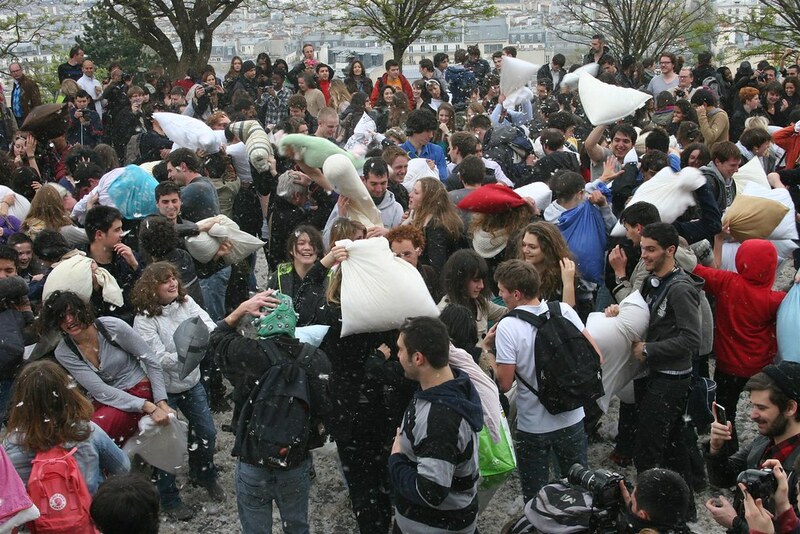 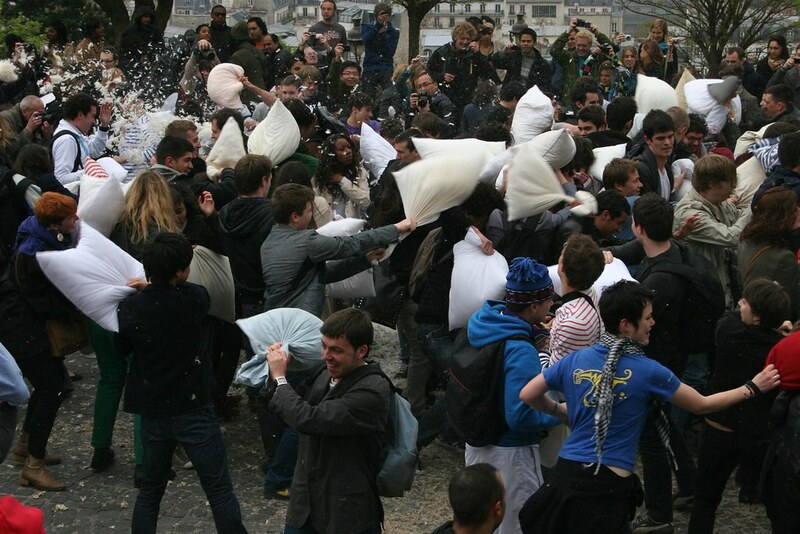 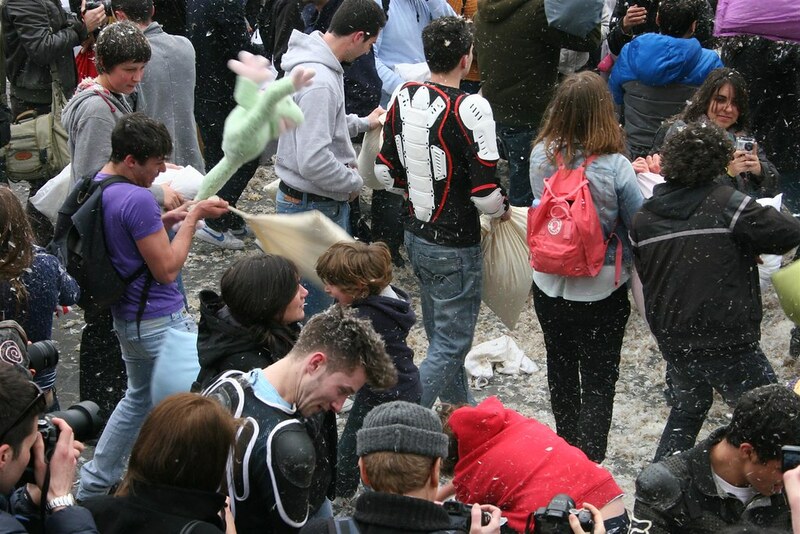 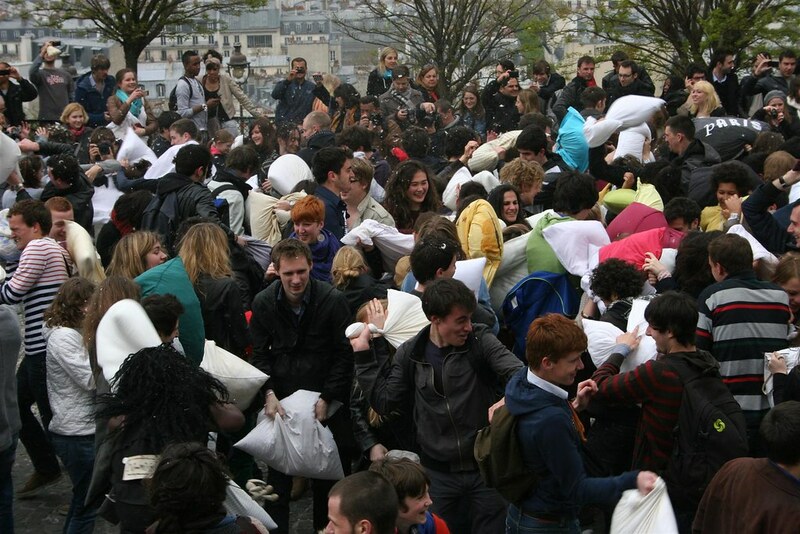 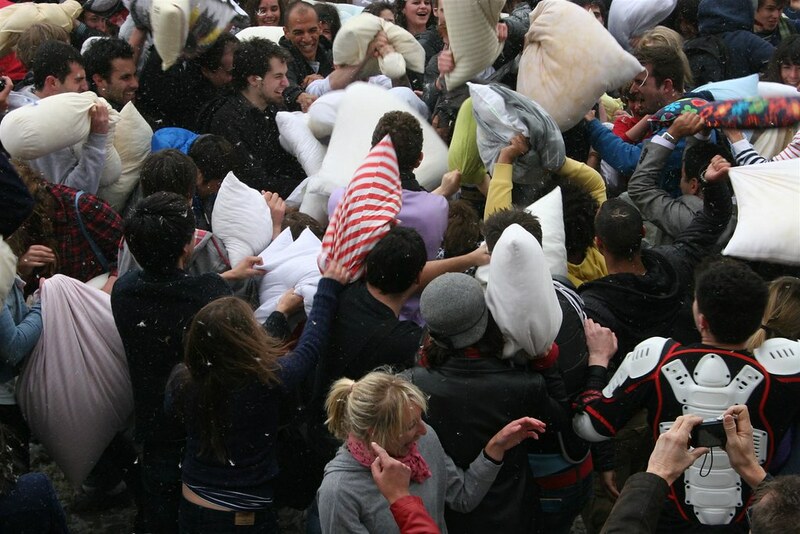 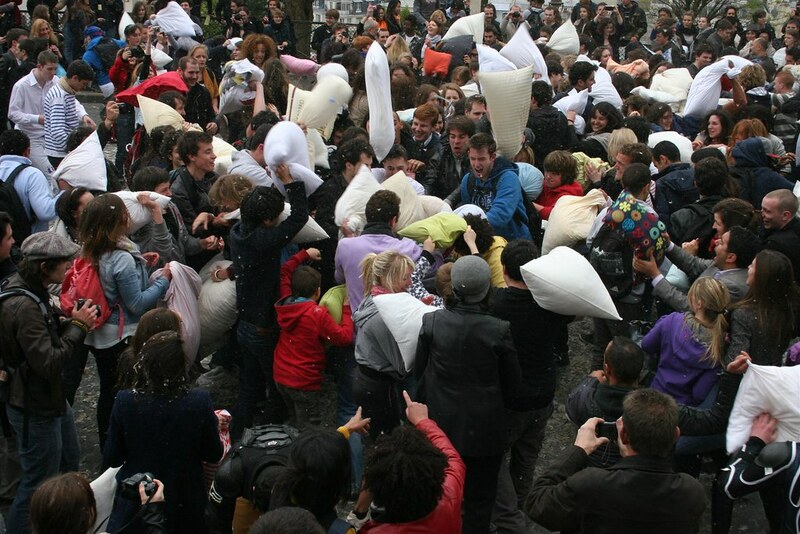 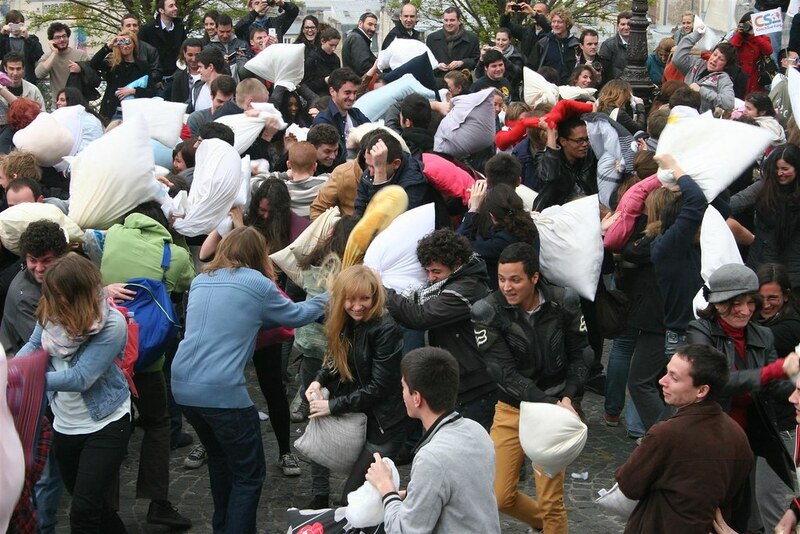 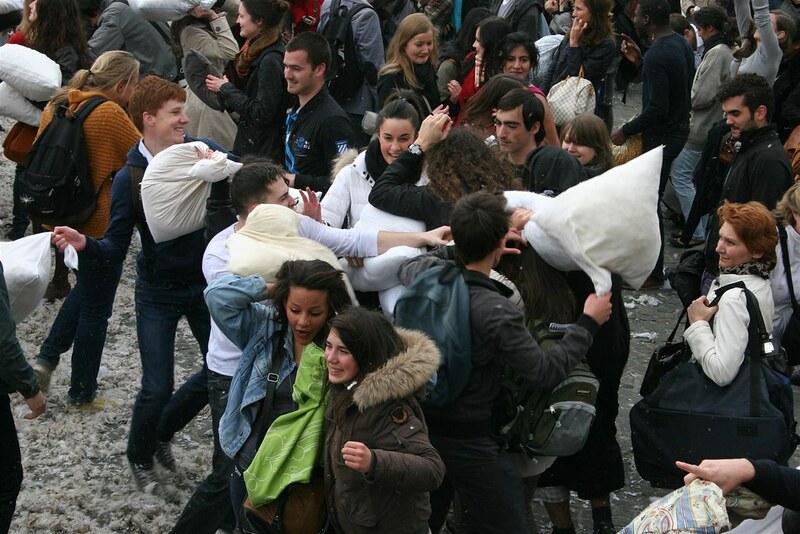 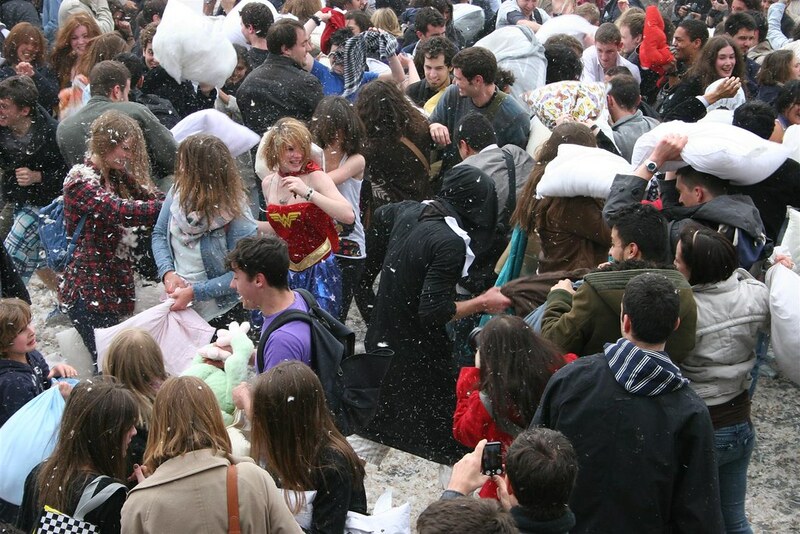 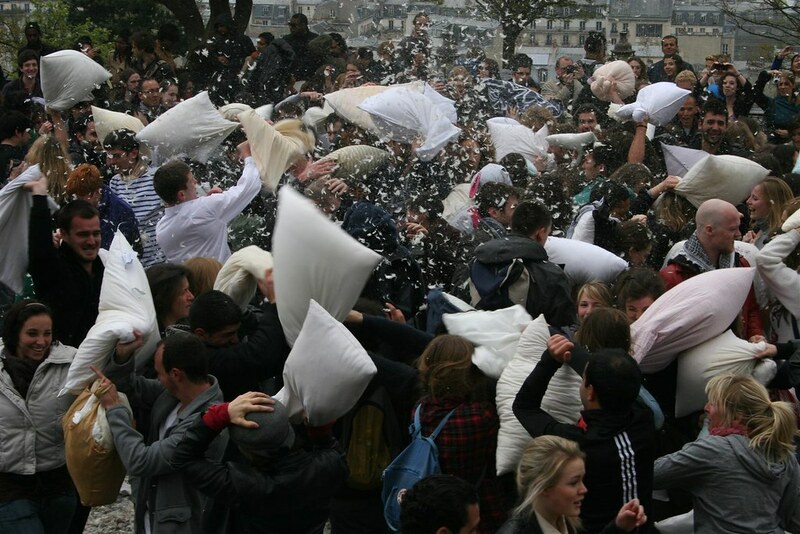 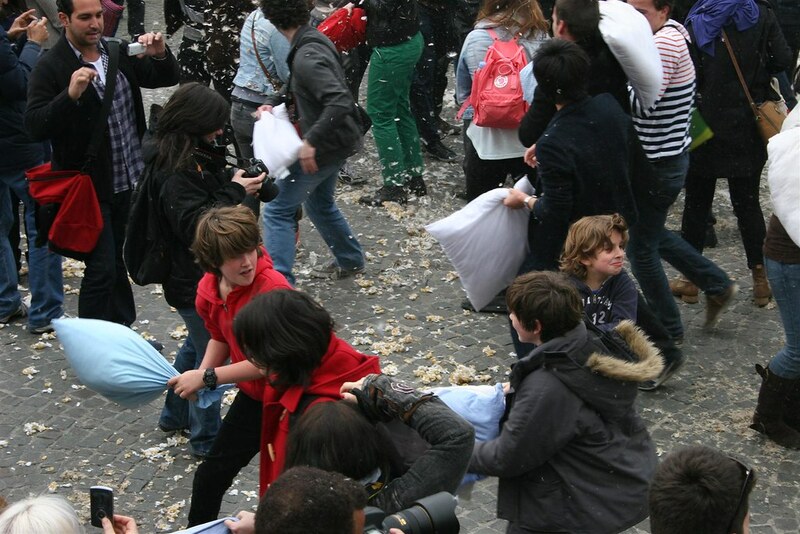 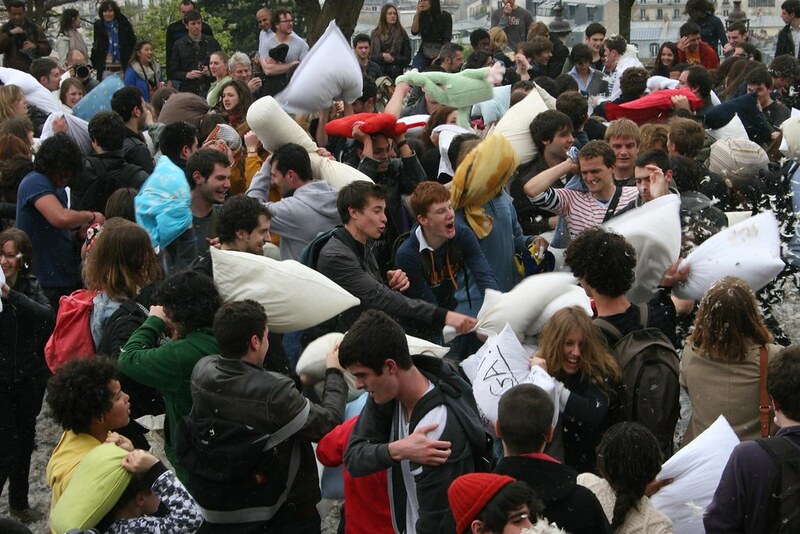 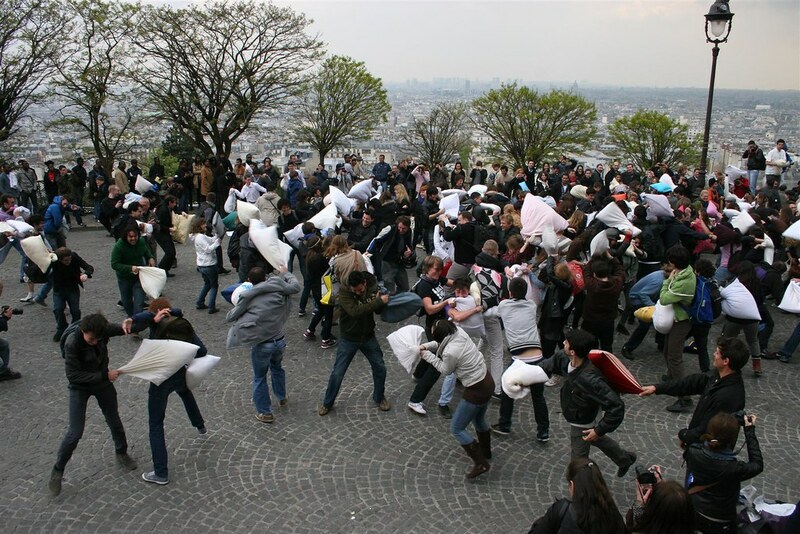 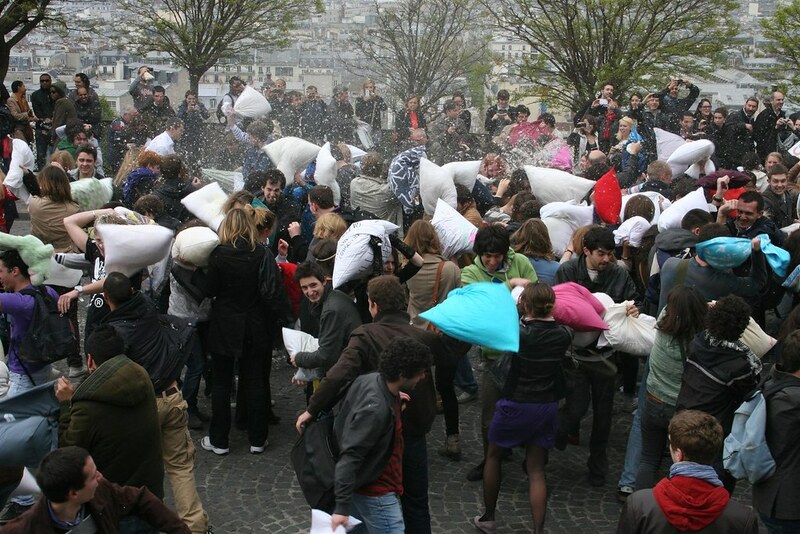 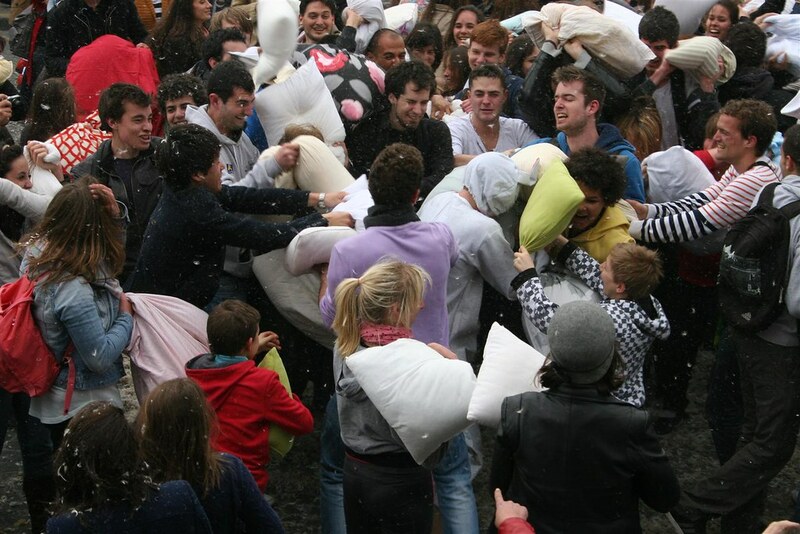 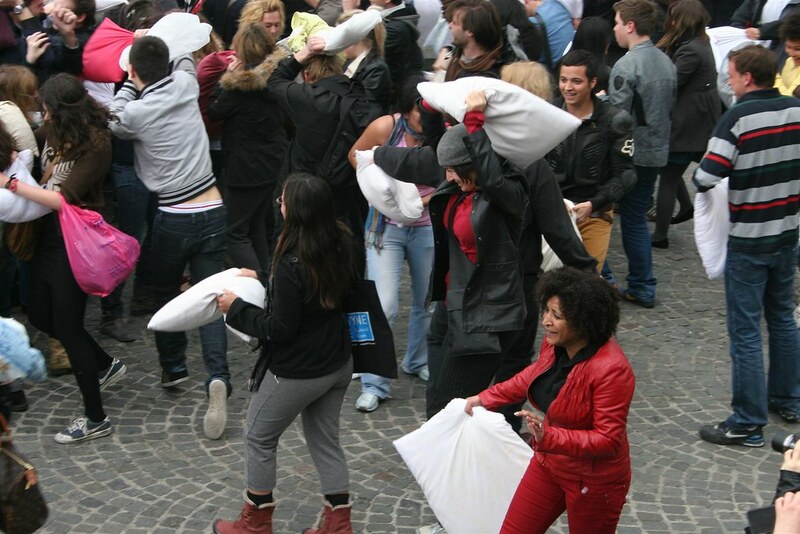 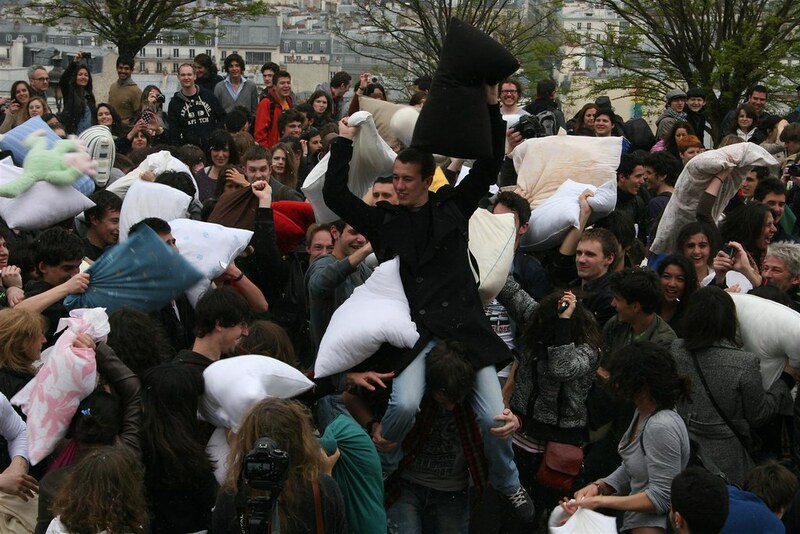 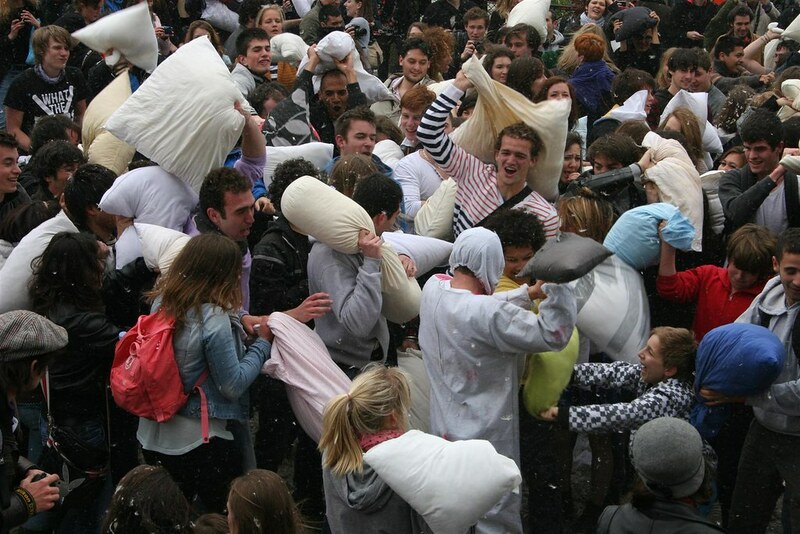 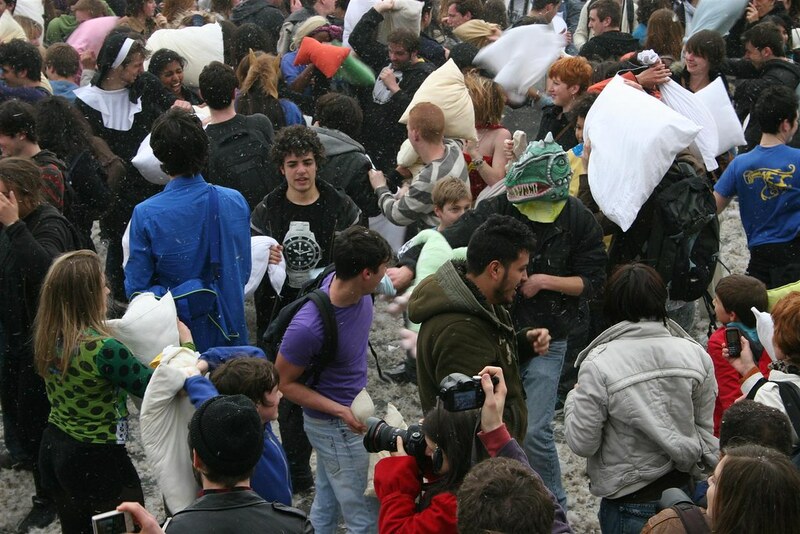 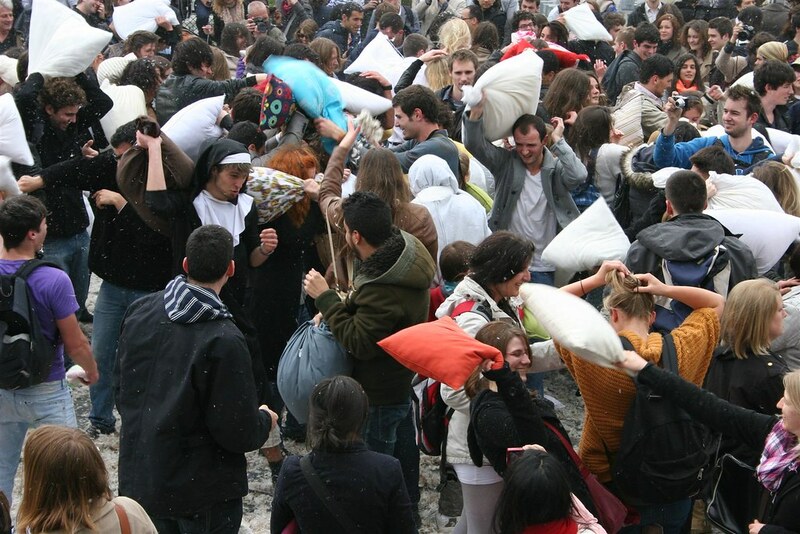 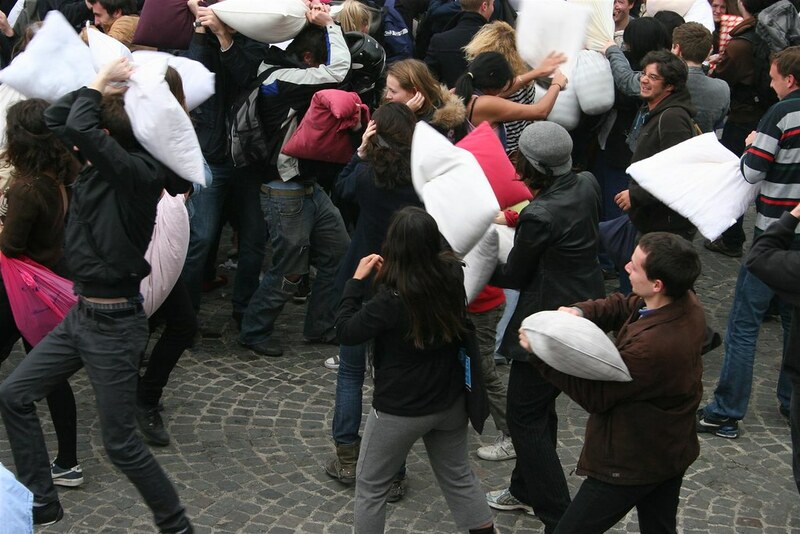 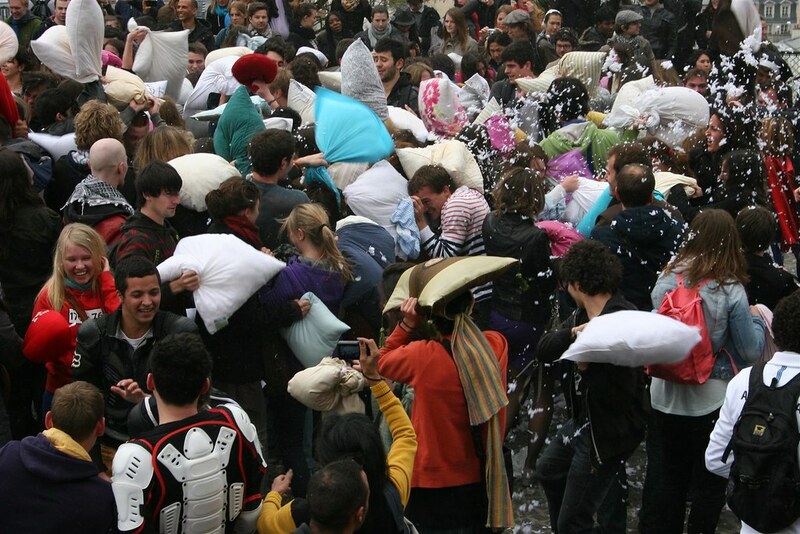 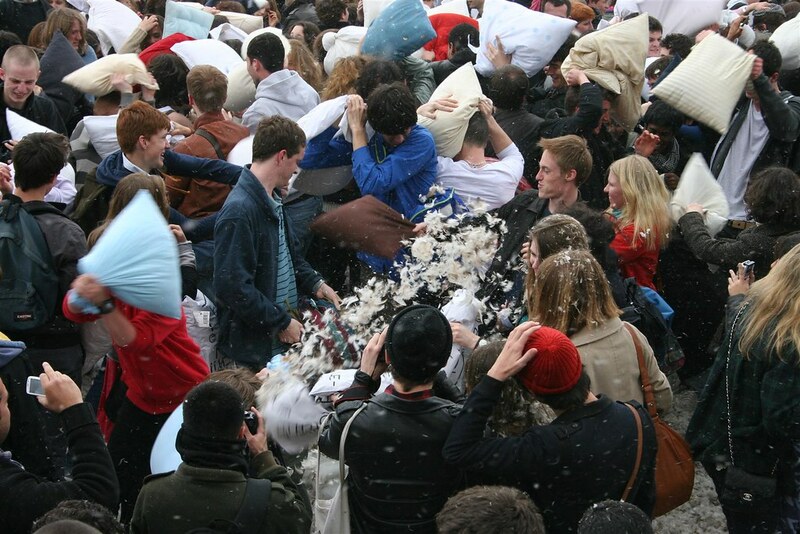 The pillow fight started right on schedule and was epic. 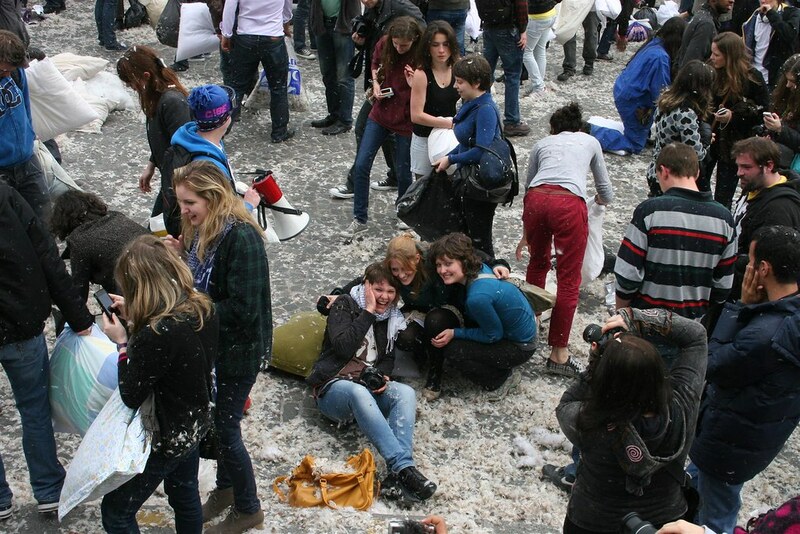 As soon as it was done and everyone had posed for photos they all started scooping up the fallen down (ha!) 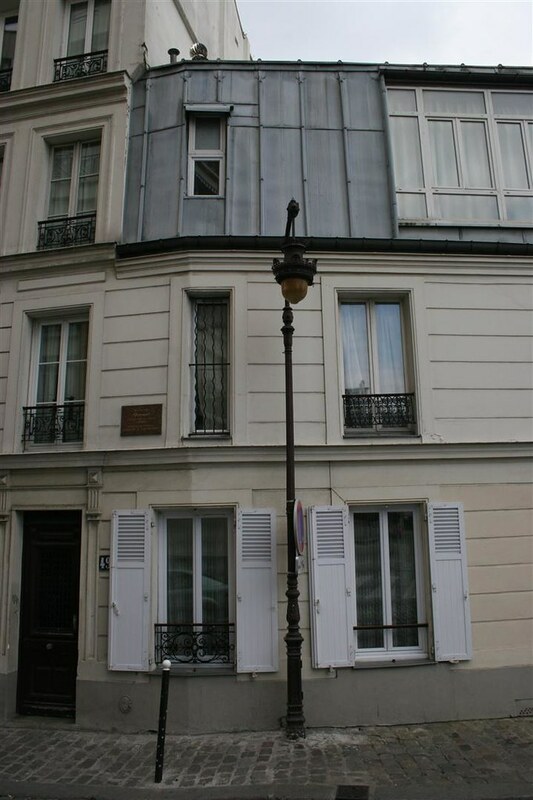 and cleaned the courtyard. 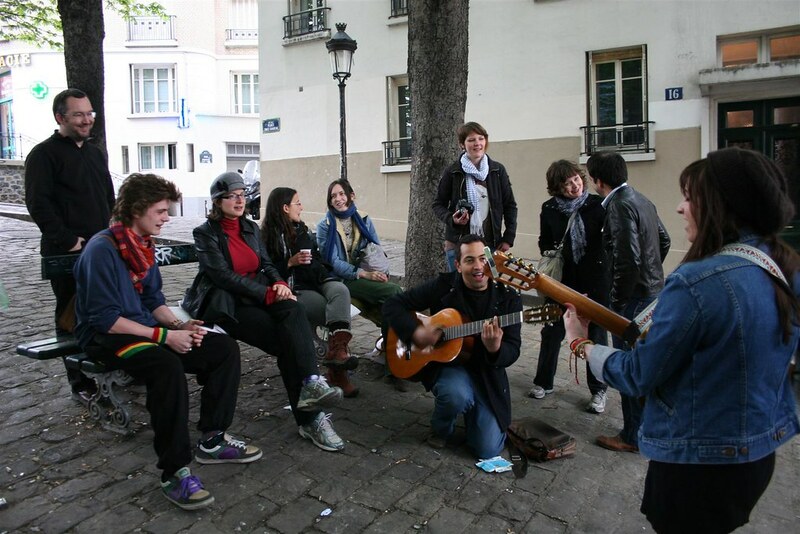 Then we were off to drink wine in a park along with some of Michi and Amy’s CouchSurfing.com friends. 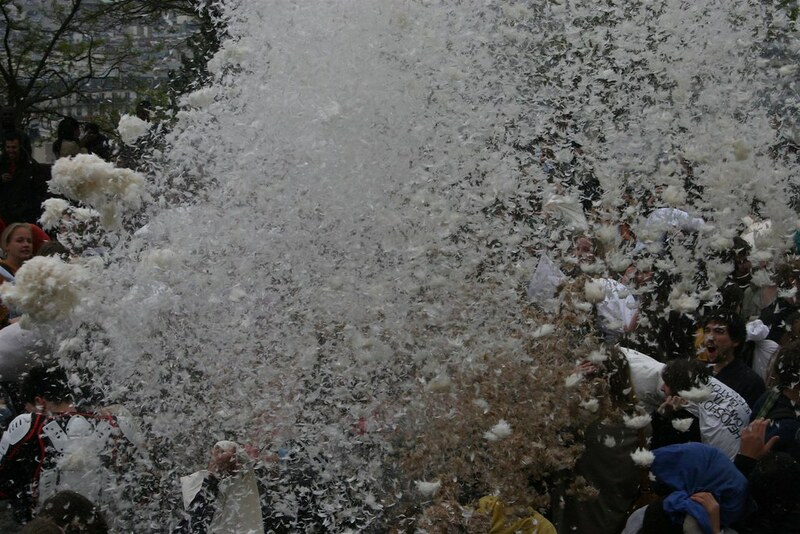 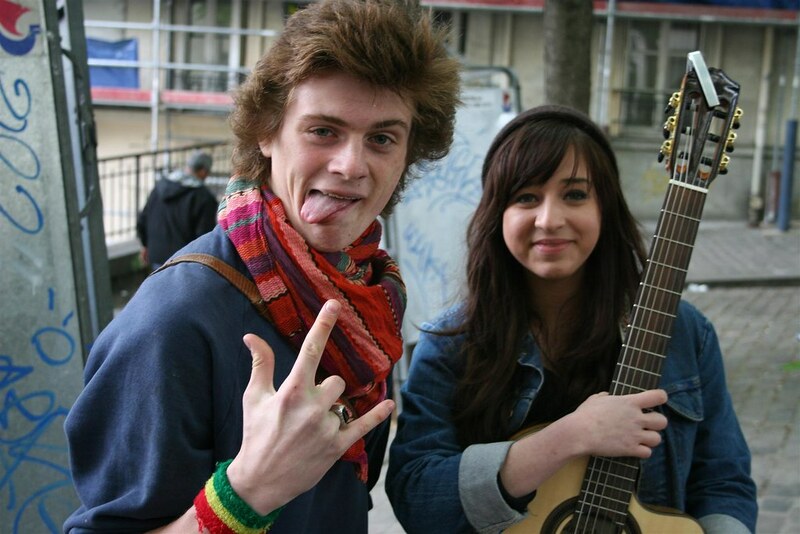 That, too, became epic. 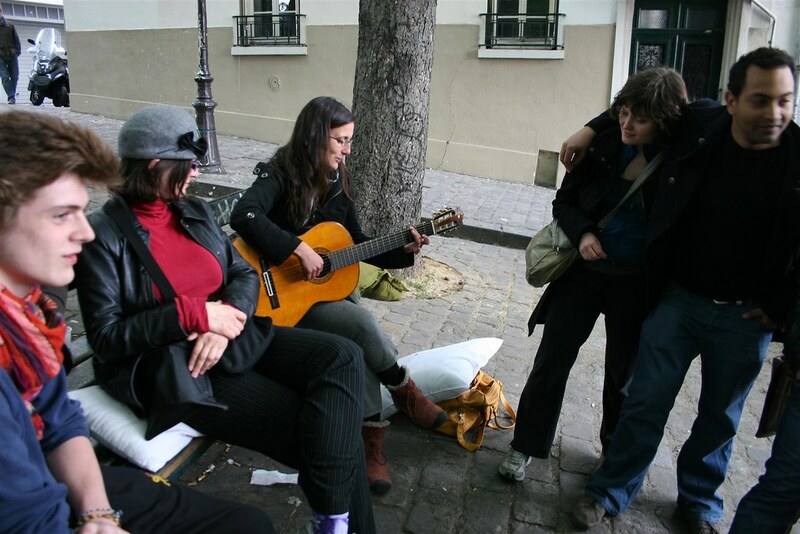 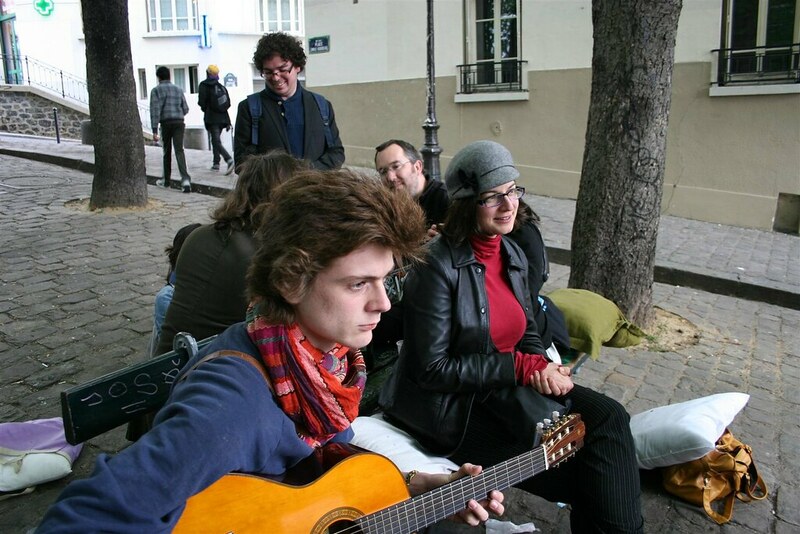 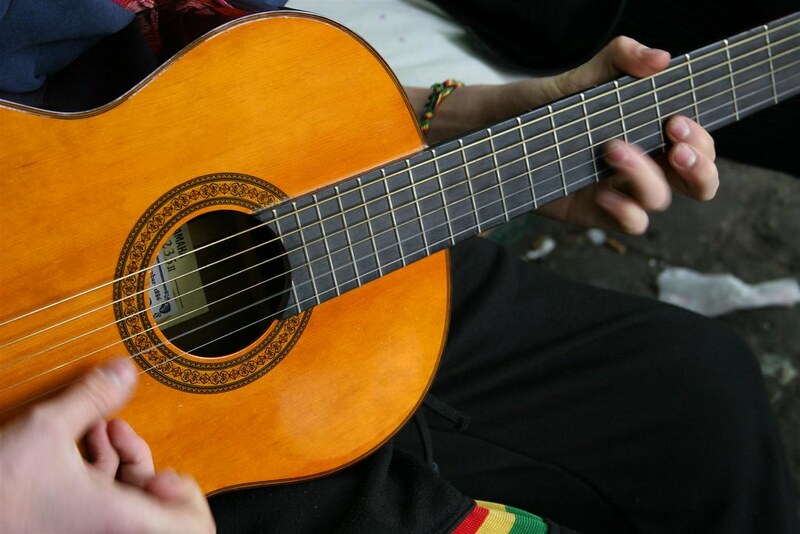 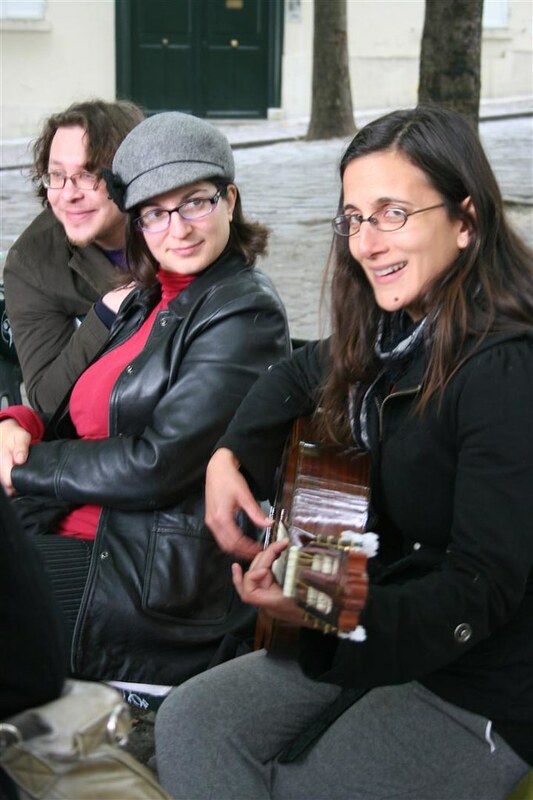 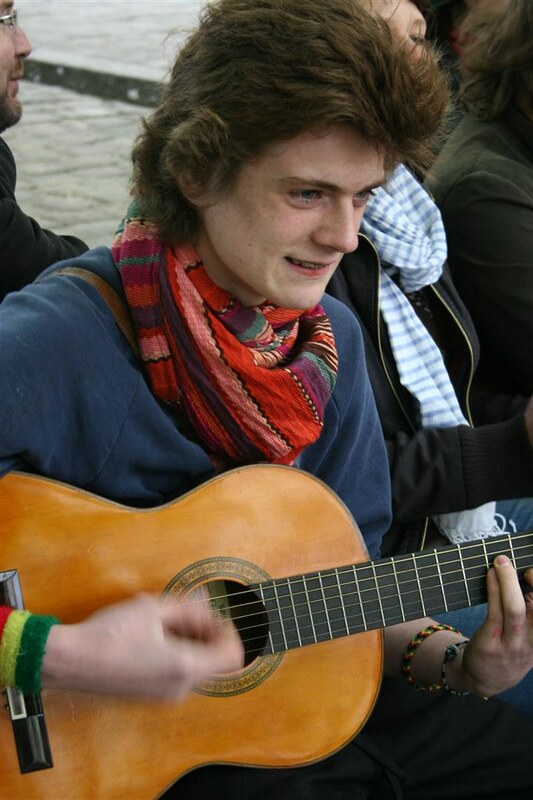 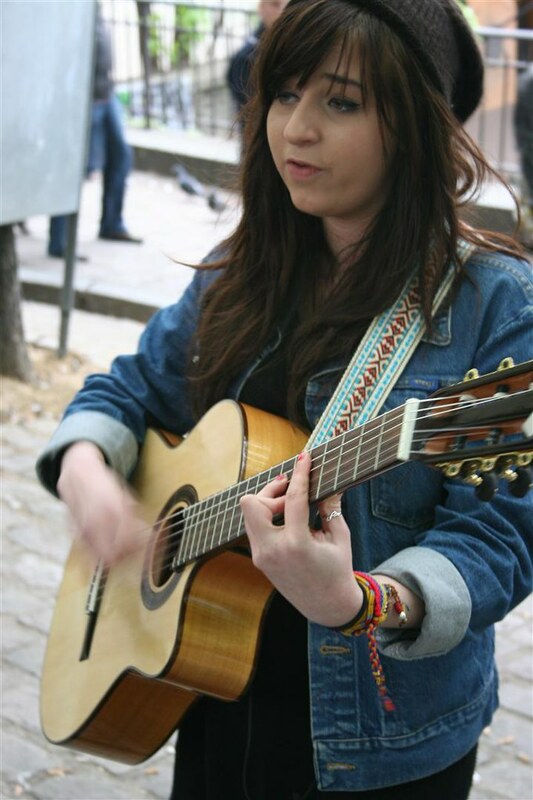 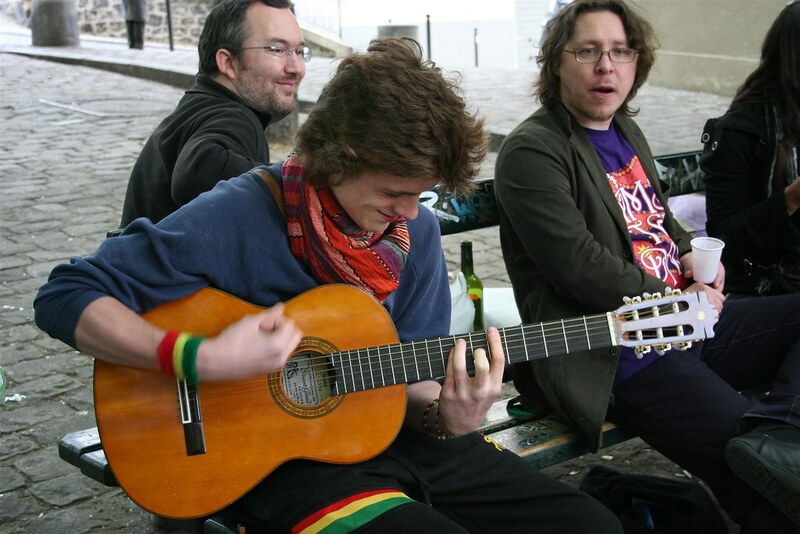 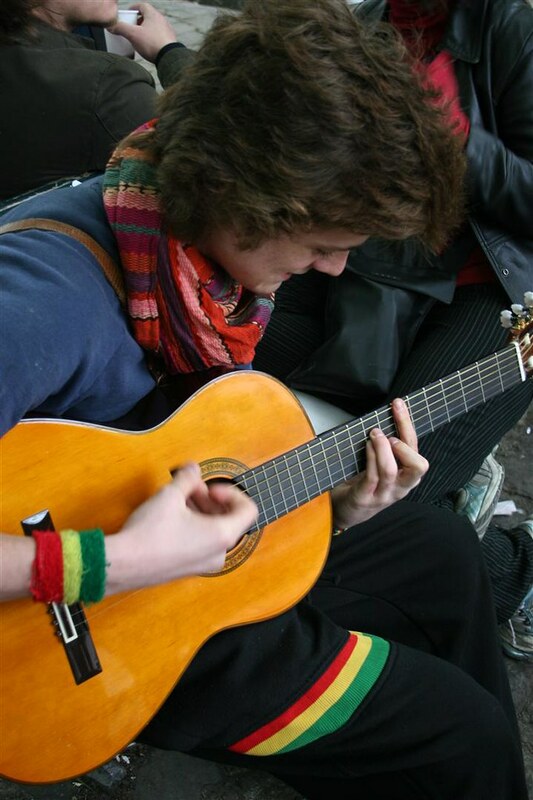 8 or 9 people 4 or so bottles of wine 2 or so guitars (we totally kidnapped this poor kid as he walked by with his guitar and made him play for us, and then another young lady just stopped and joined in) — made for a leisurely afternoon in the shade. 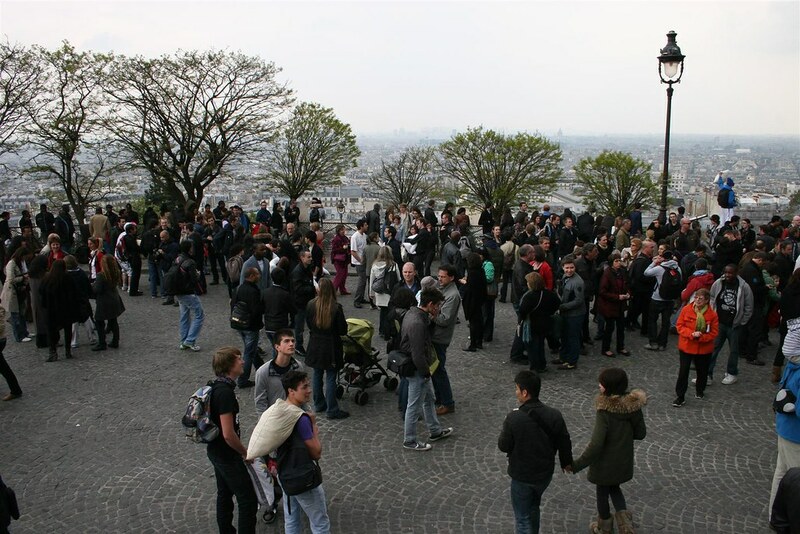 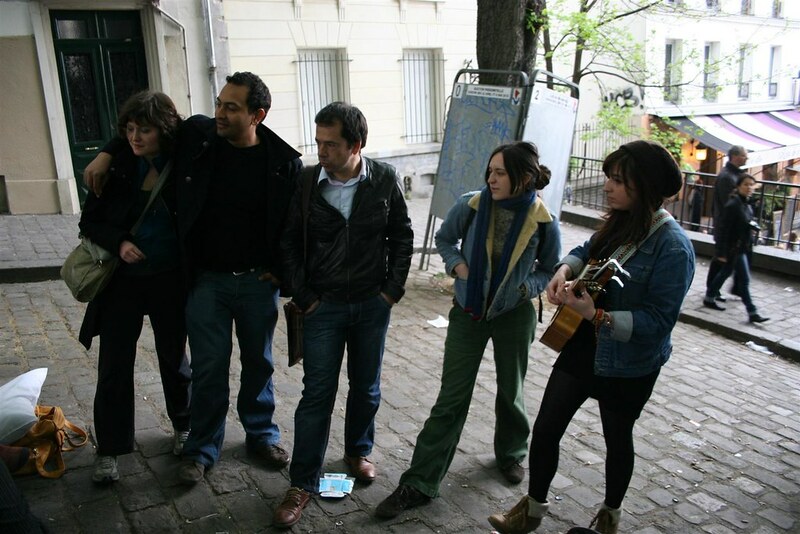 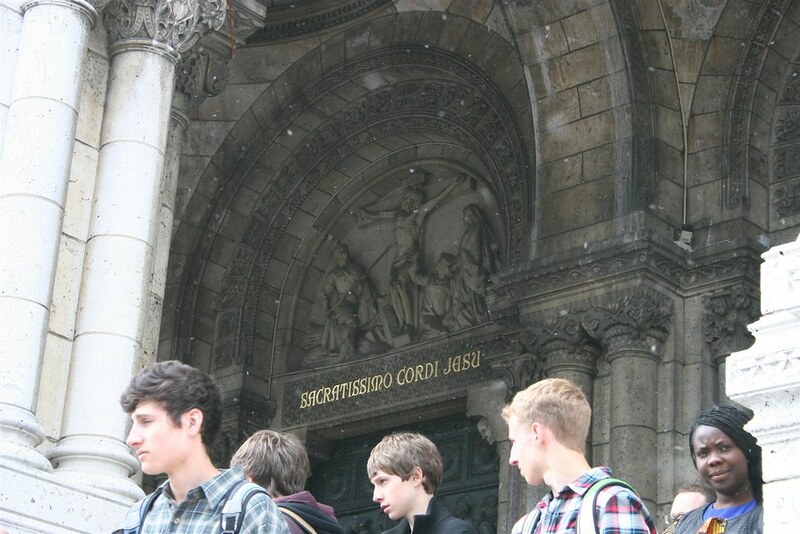 3 Californians, a few Frenchmen, two midwesteners, an Italian, a Pole, a Russian and a few that I couldn’t figure out. 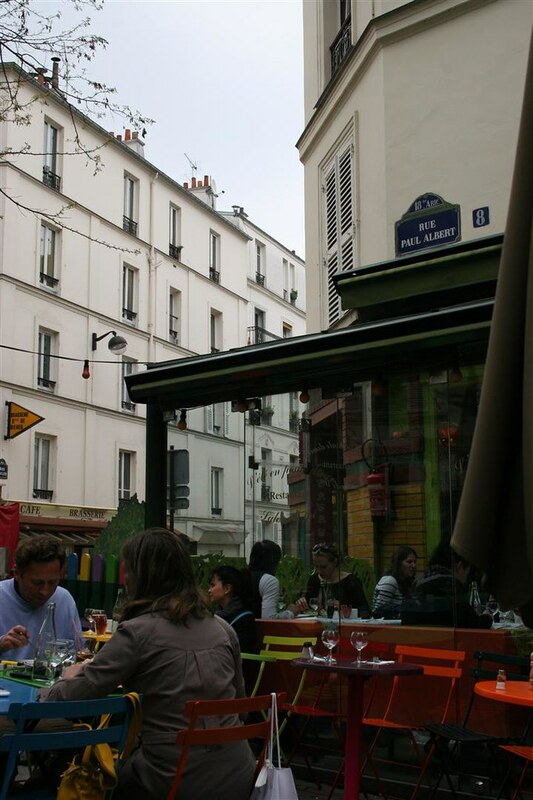 From the park, we returned to L’Été en Pente Douce for more coffee, and got caught outside in a hail monsoon (thankfully we were under an umbrella. 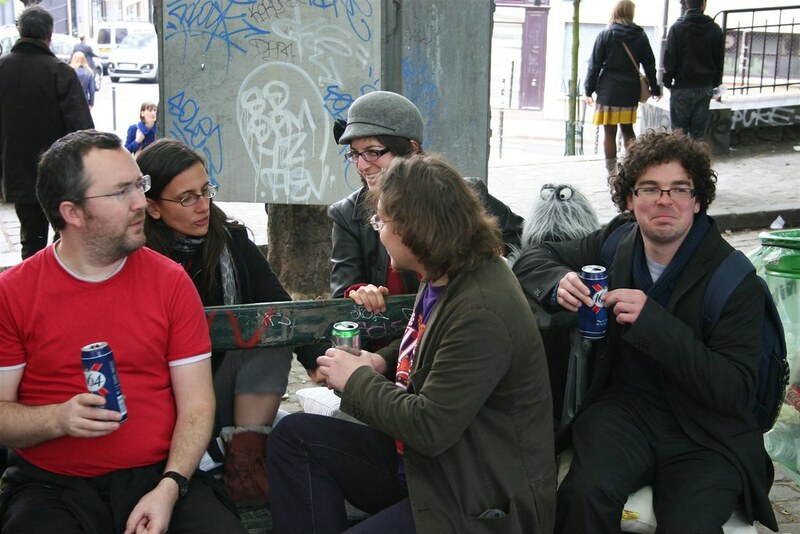 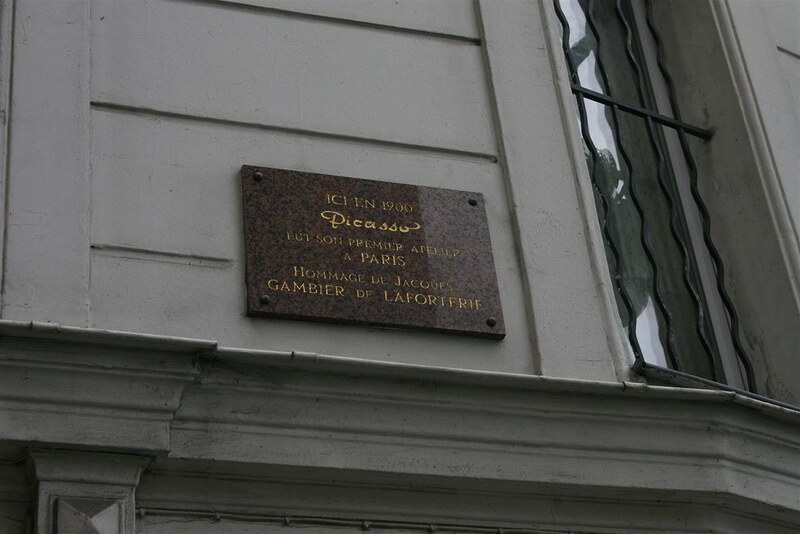 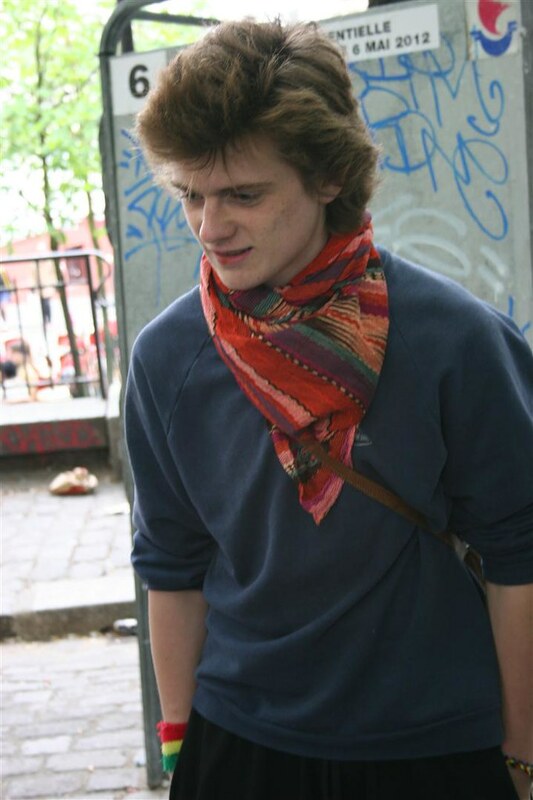 After that, a quick jaunt down rue de Clingencourt to Michi and Amy’s friend Manu’s house for dinner with his current CouchSurfing.com guests Tim and Femke (graphic designer and PhD candidate studying liver cancer) from Ghent in Belgium. 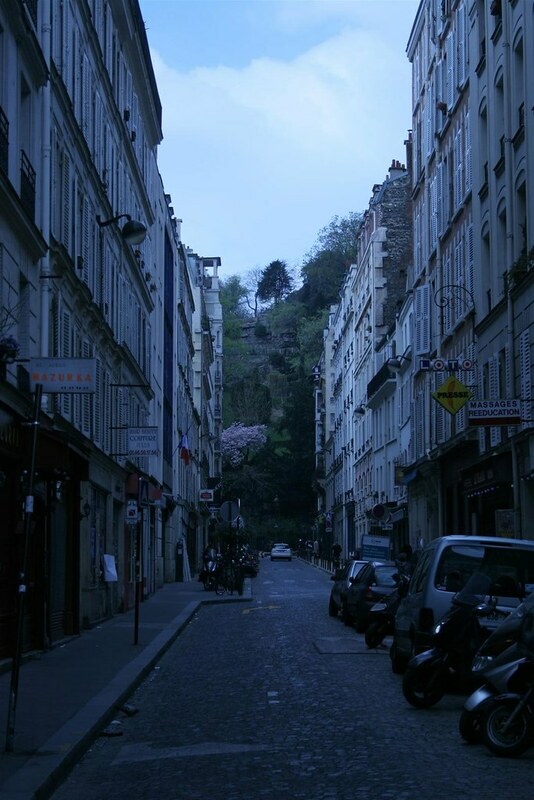 Good conversation, more wine, tasty food, and late night. 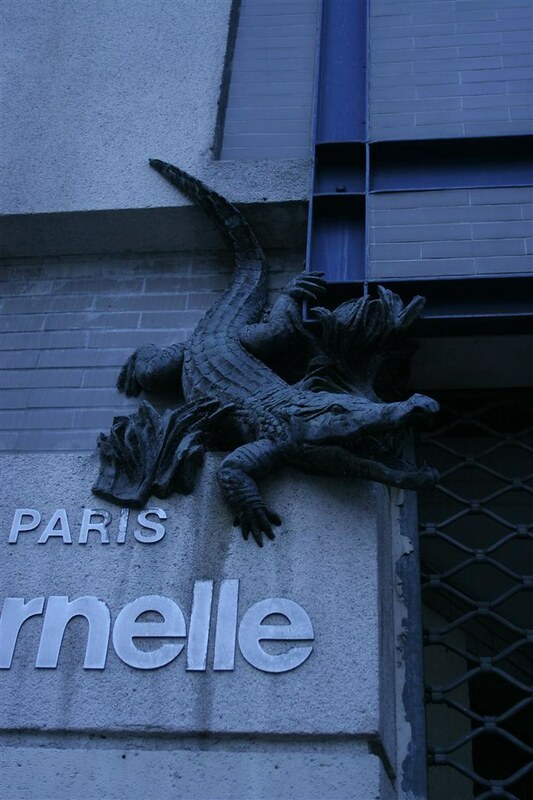 "So then, I grabbed the alligator around the snout and just HELD him there..."